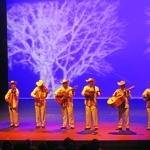 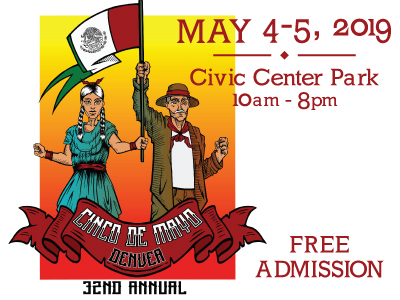 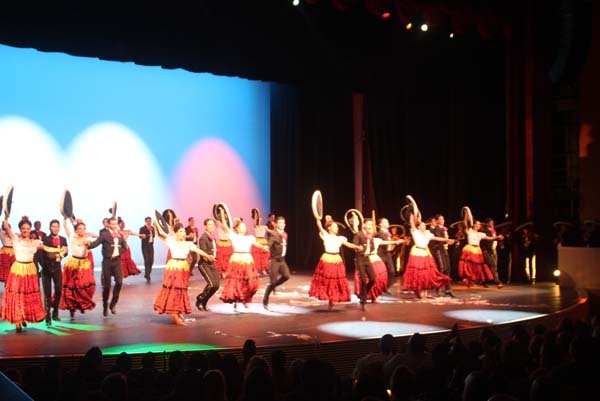 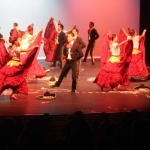 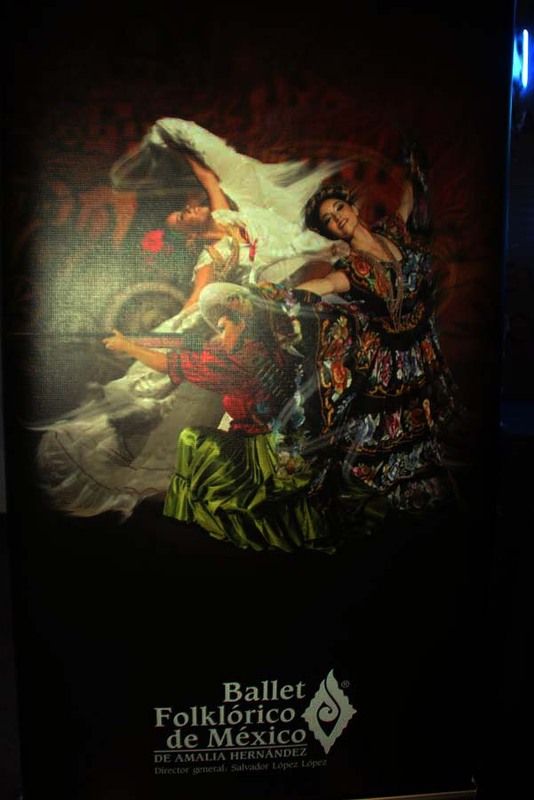 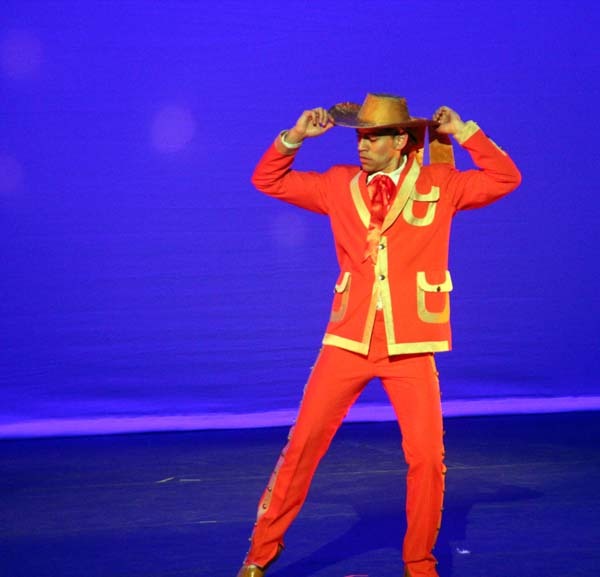 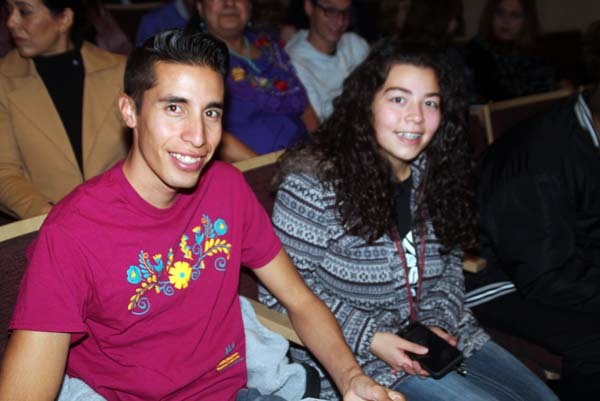 It was an amazing evening of international Mexican dance that Colorado has not seen in more than 25 years. 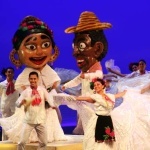 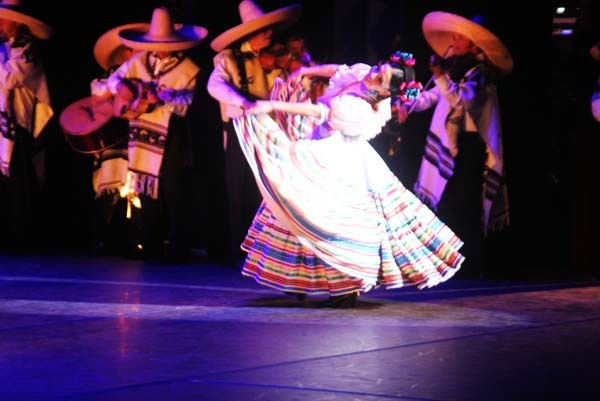 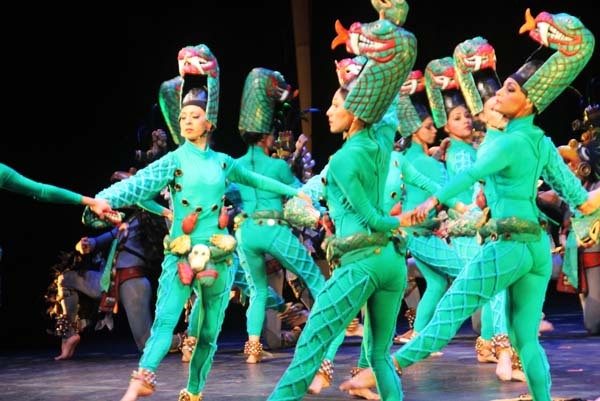 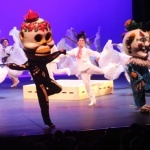 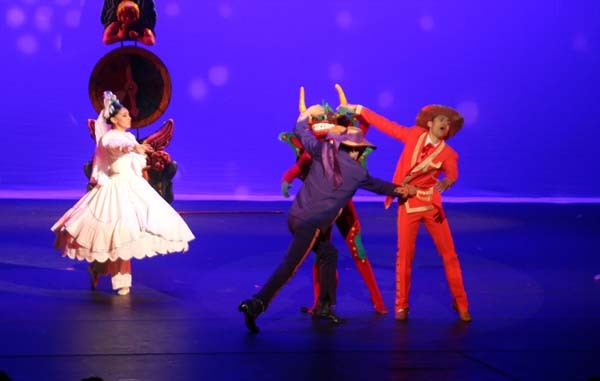 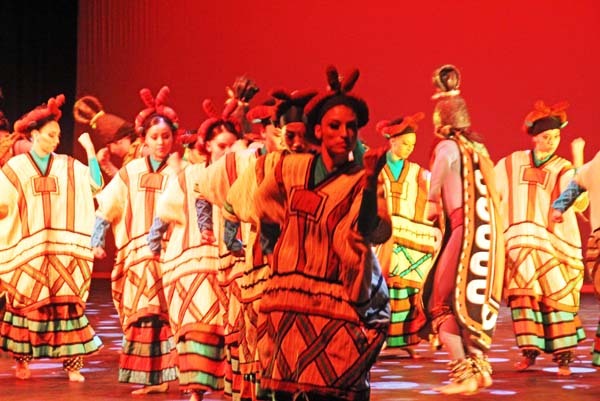 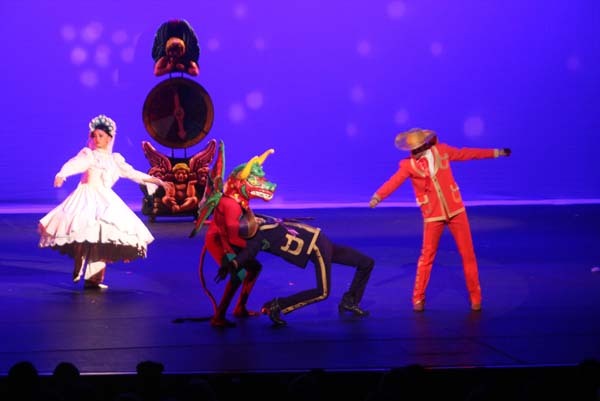 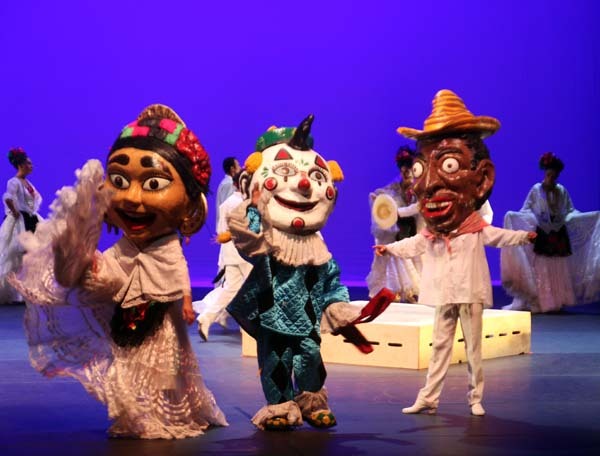 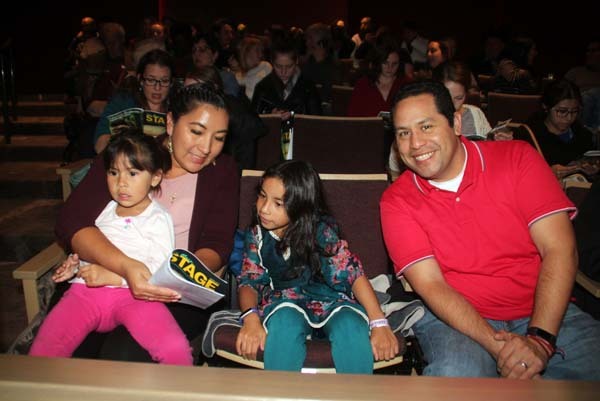 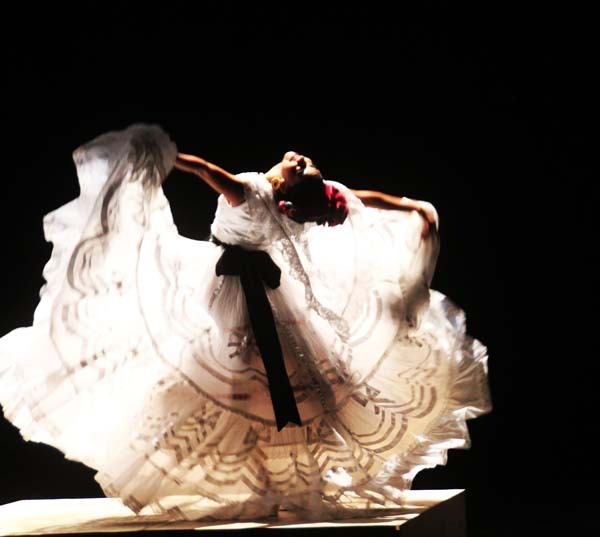 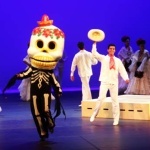 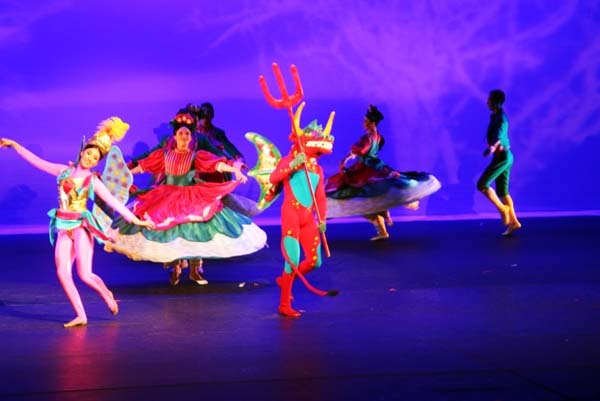 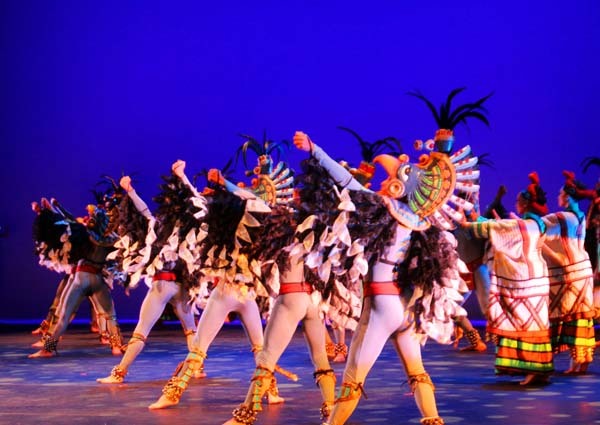 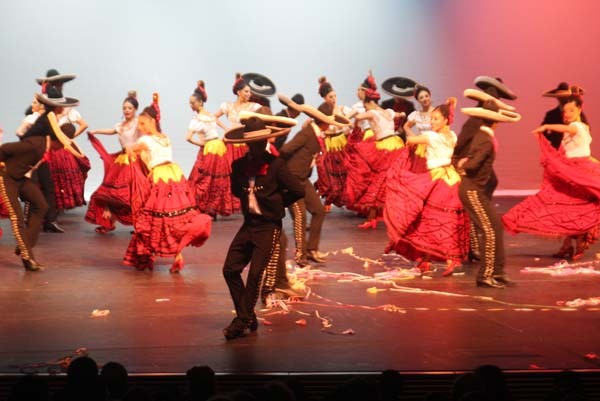 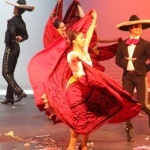 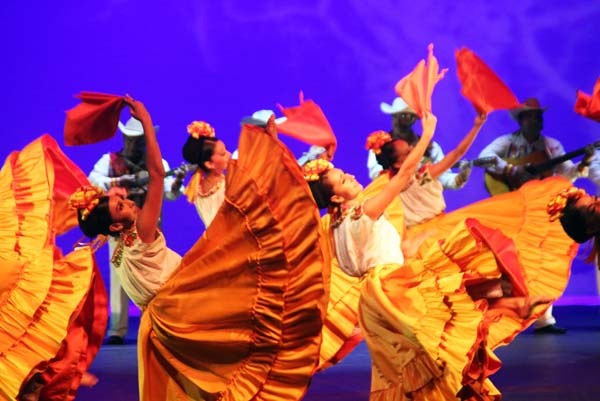 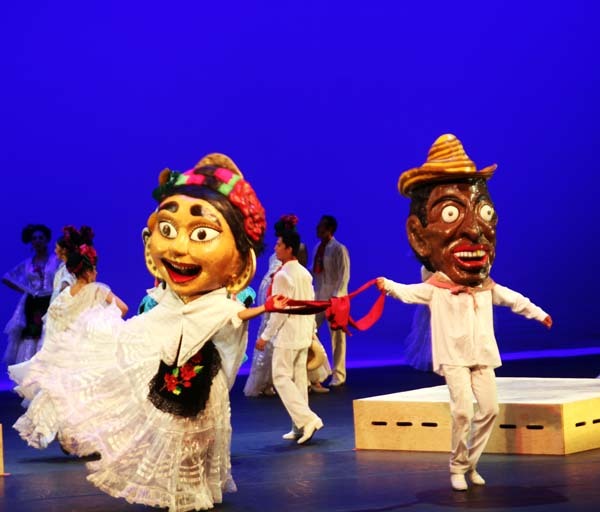 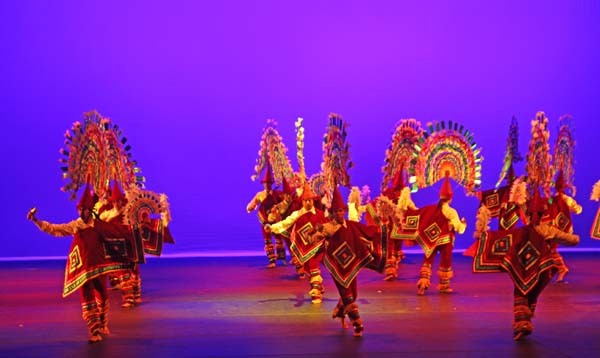 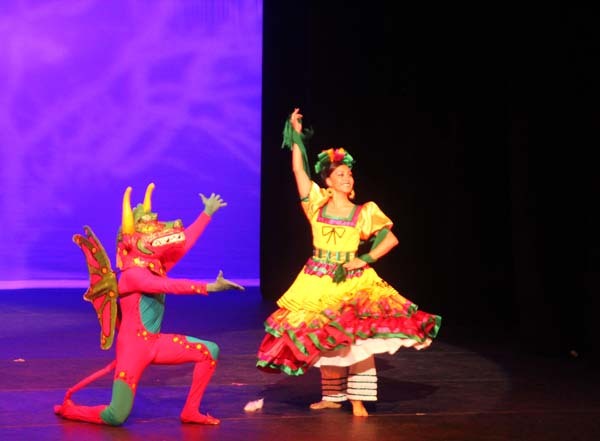 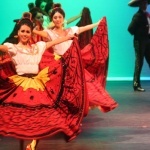 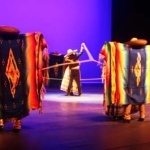 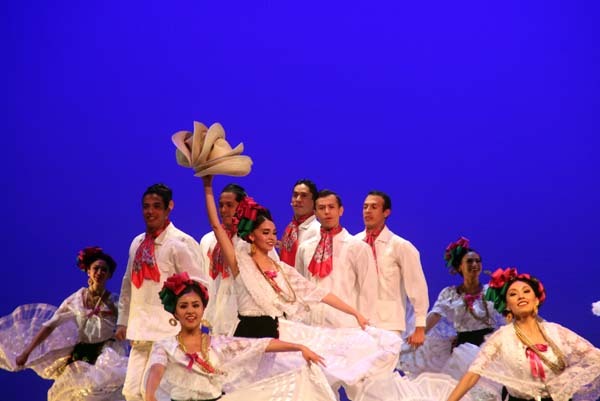 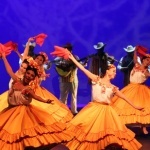 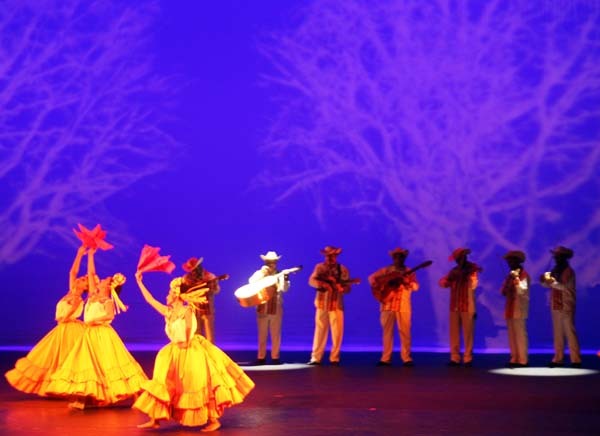 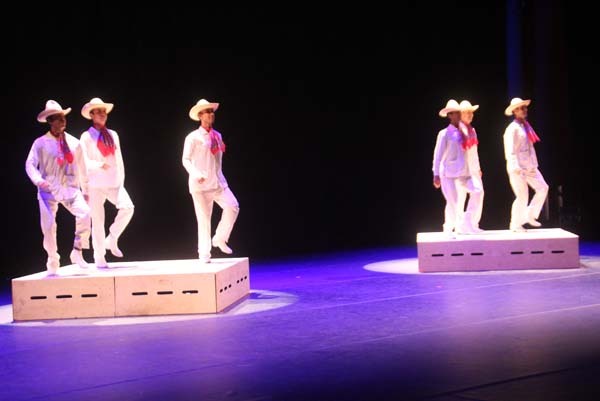 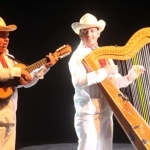 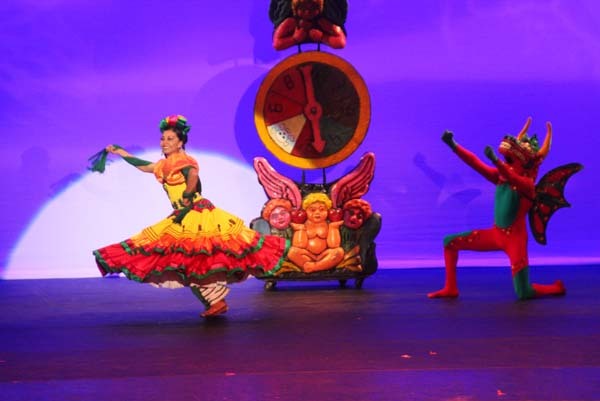 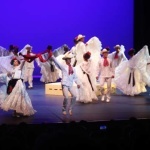 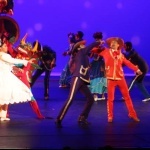 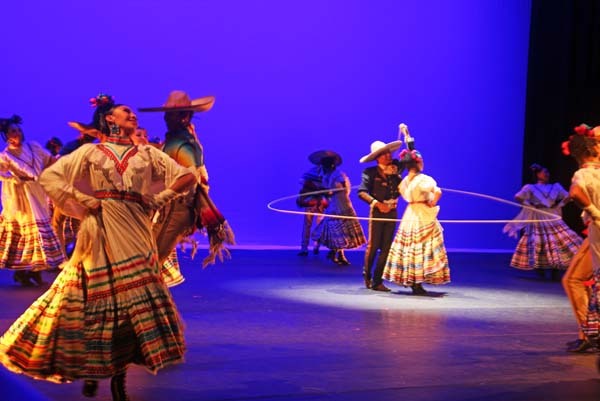 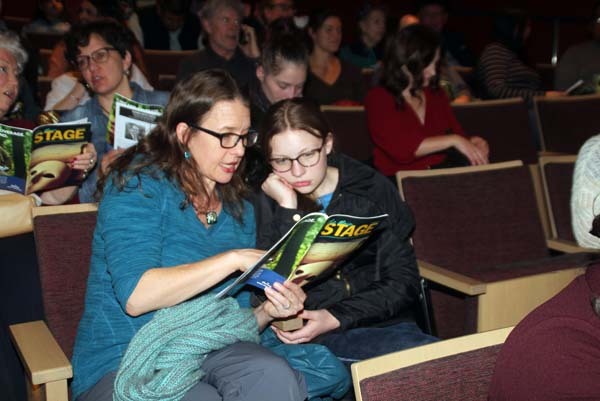 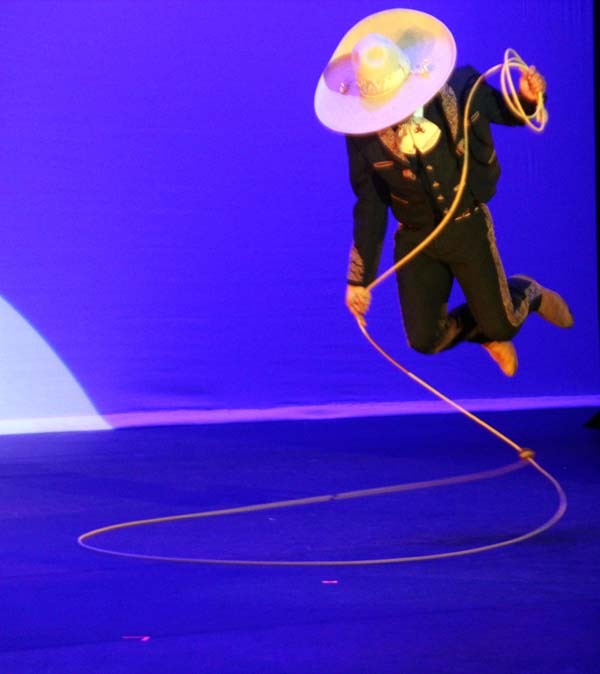 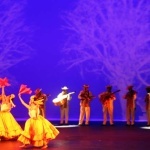 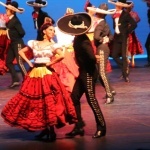 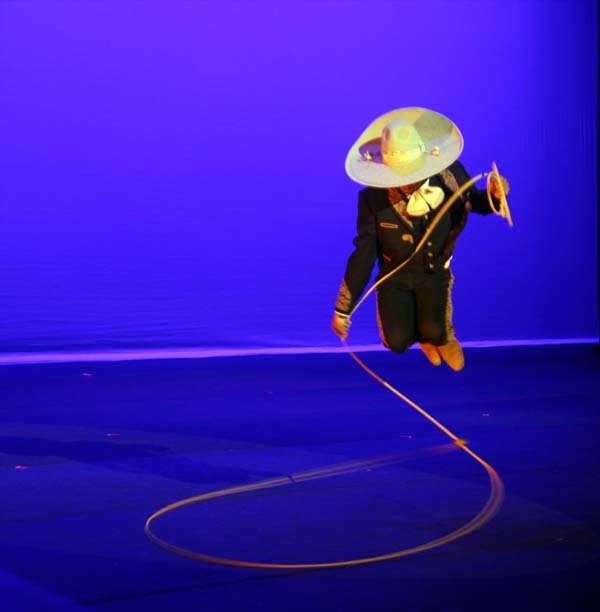 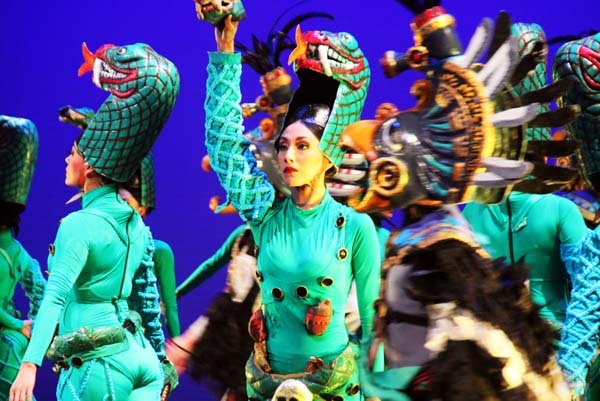 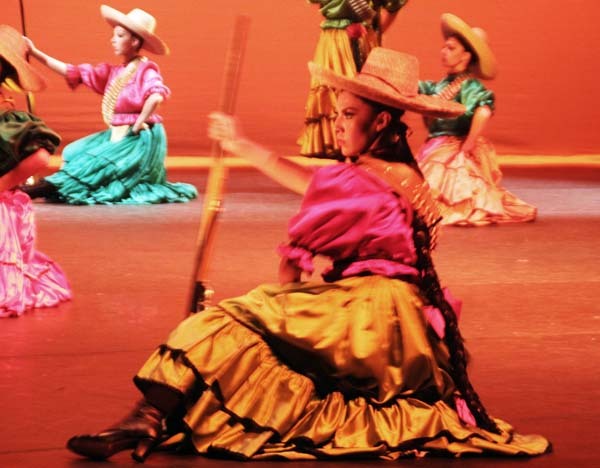 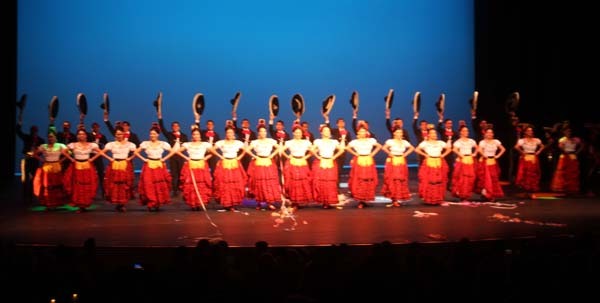 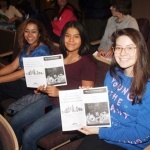 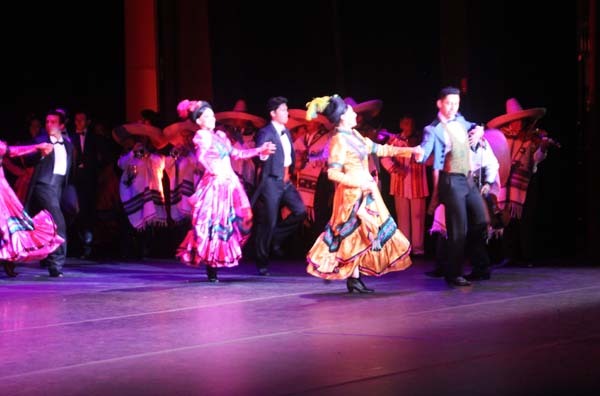 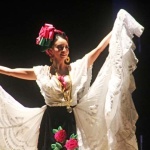 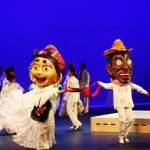 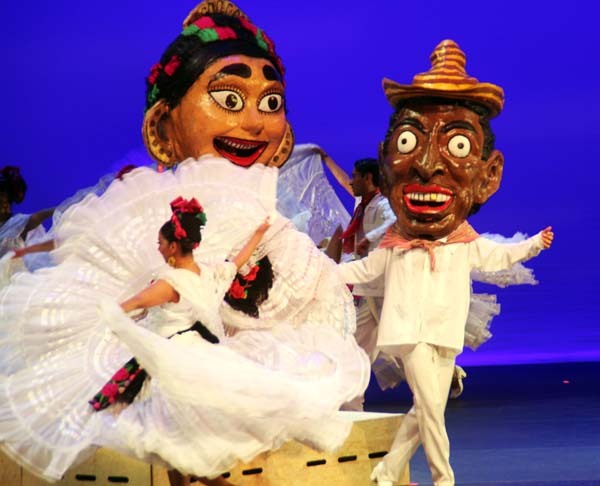 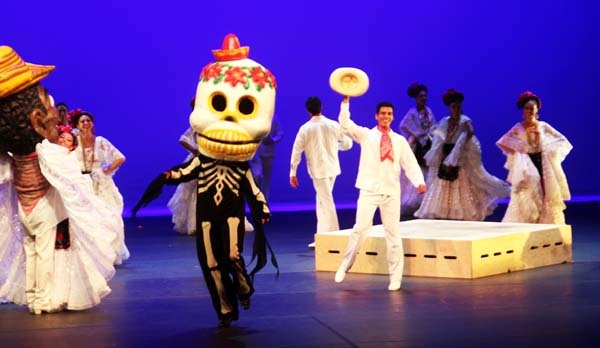 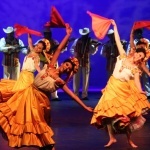 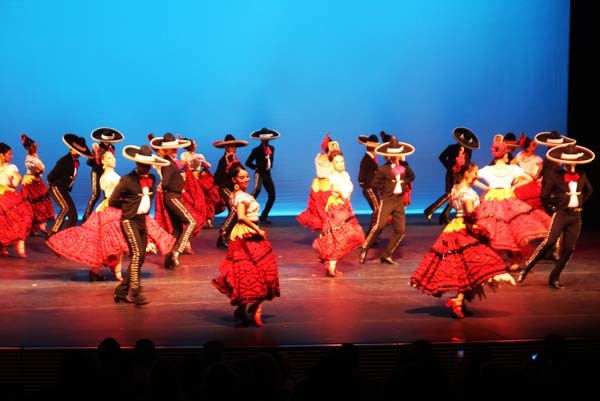 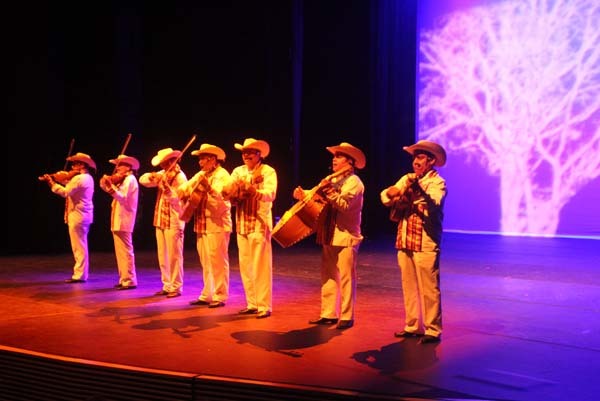 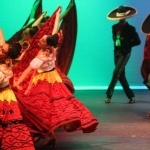 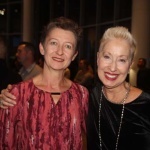 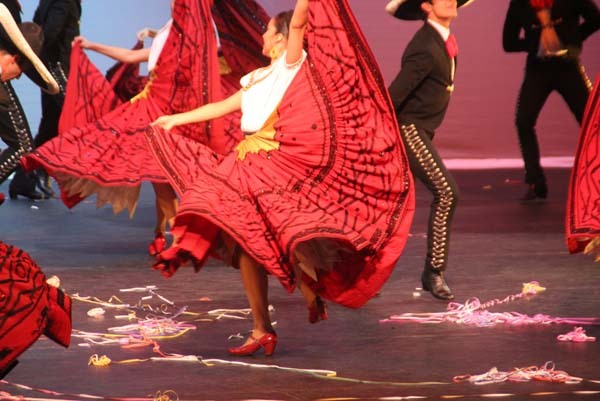 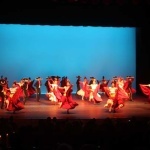 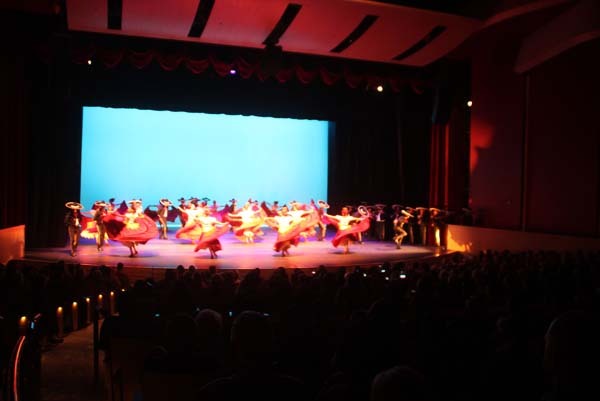 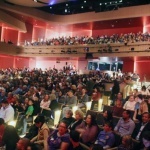 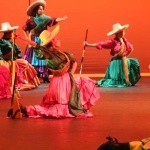 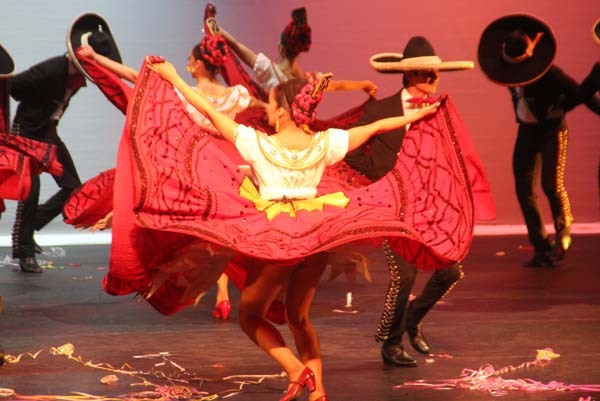 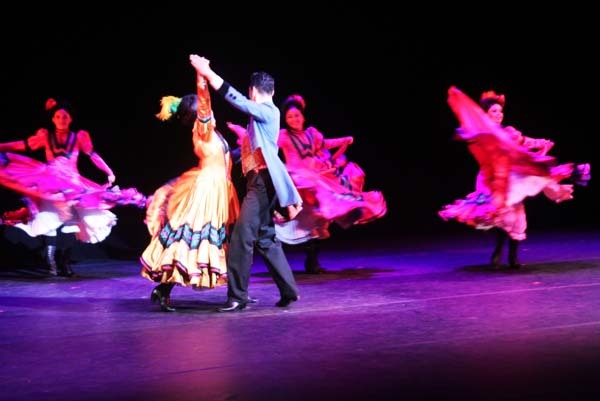 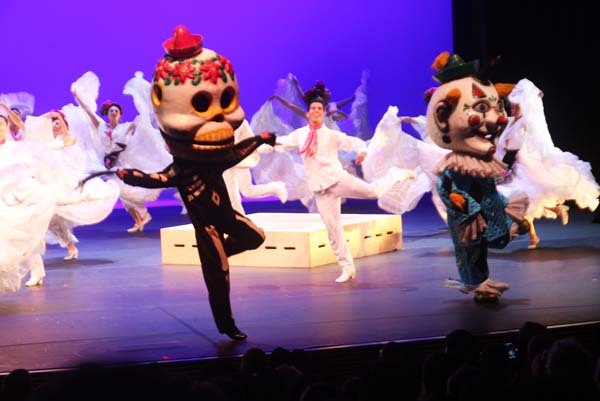 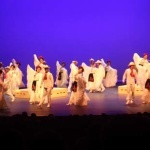 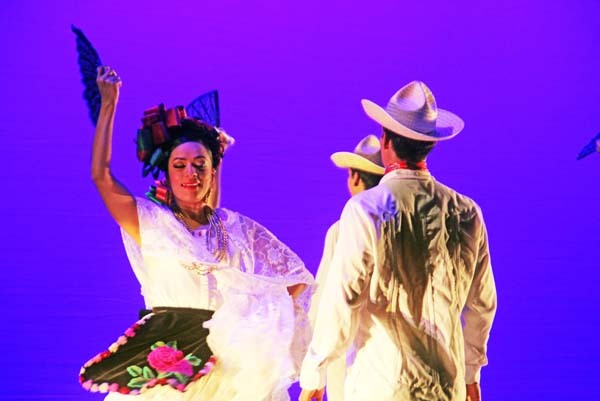 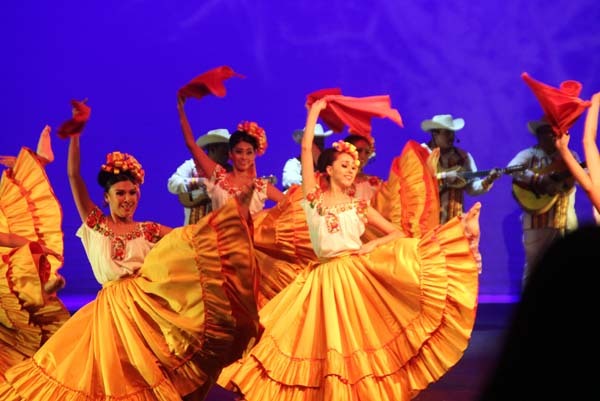 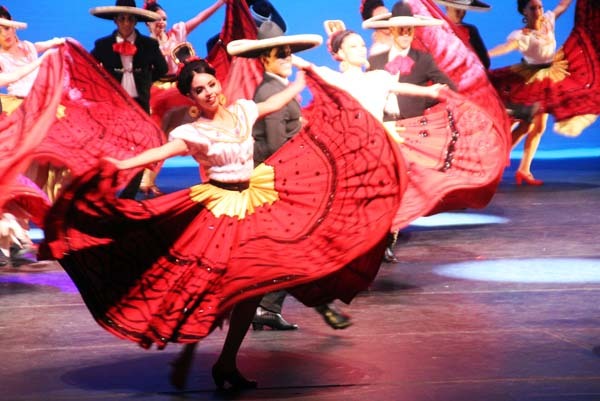 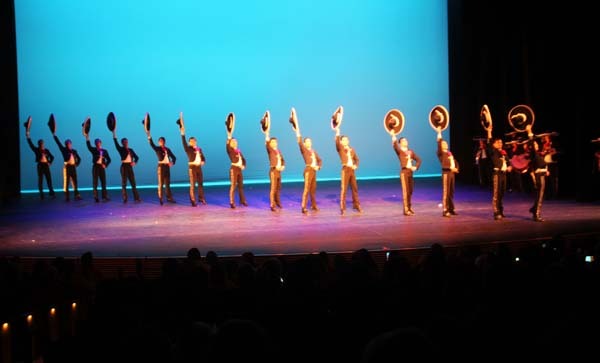 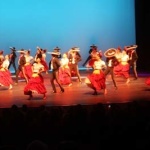 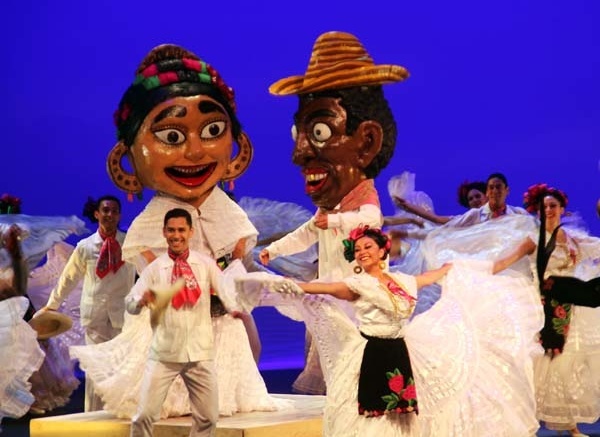 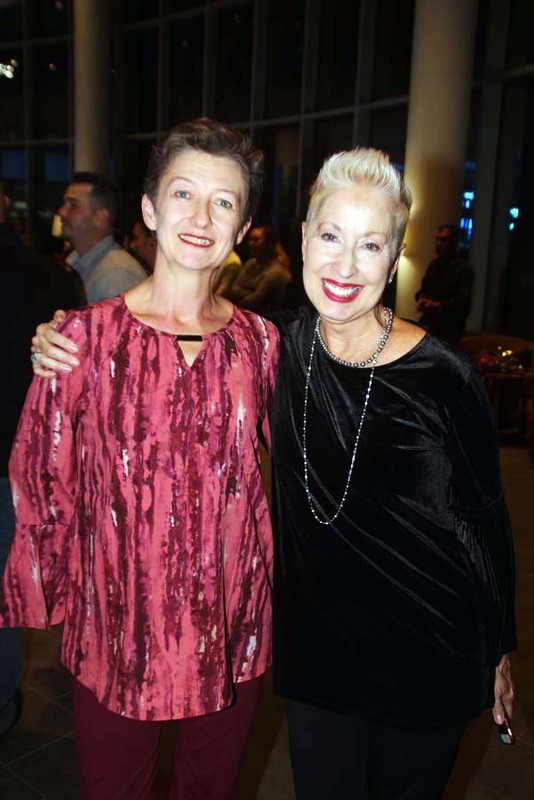 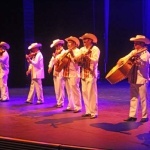 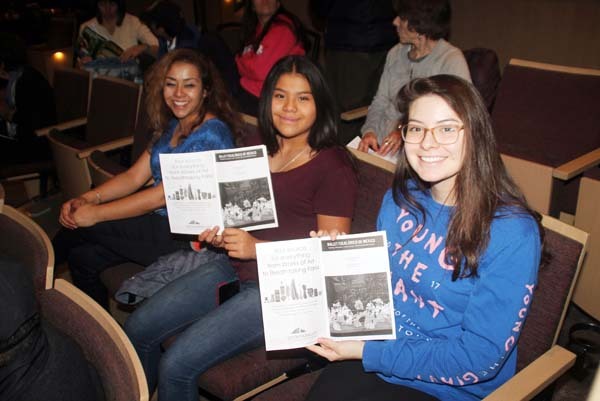 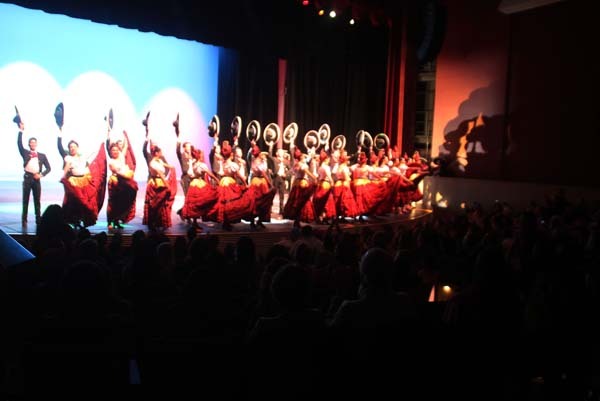 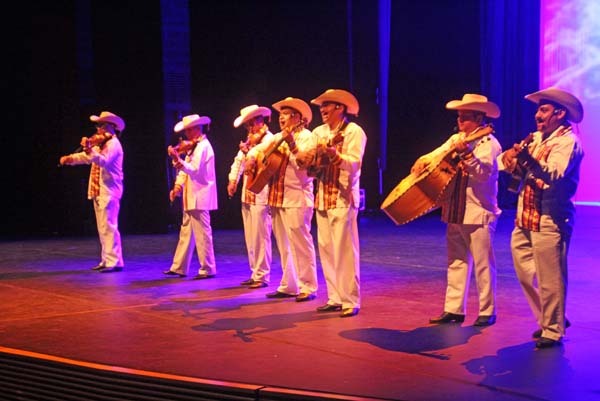 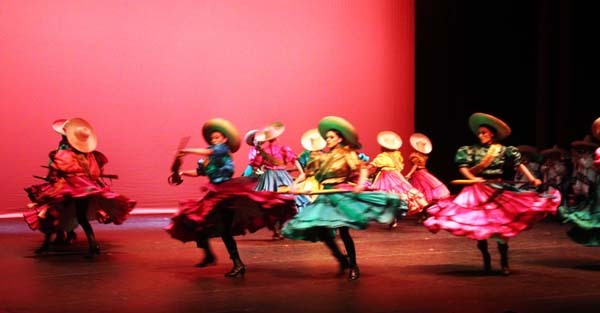 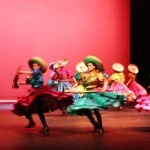 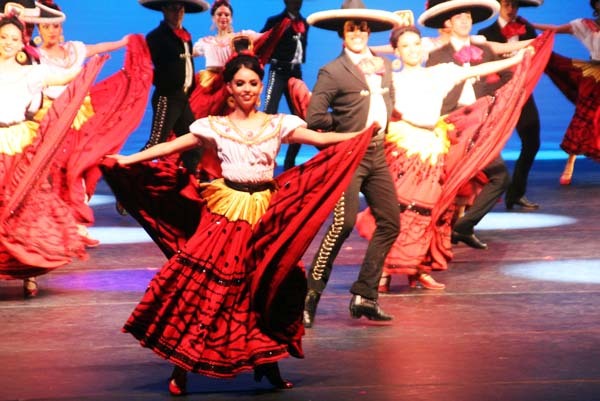 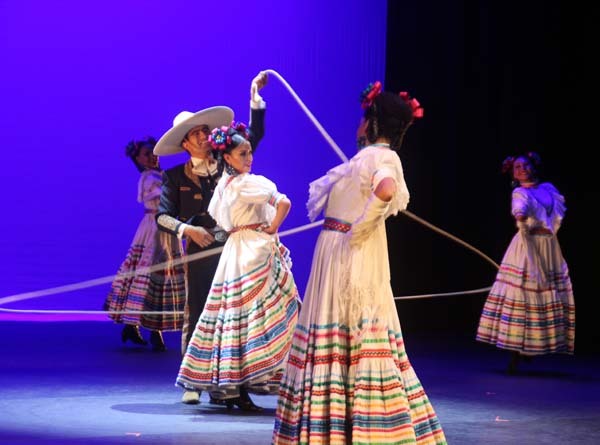 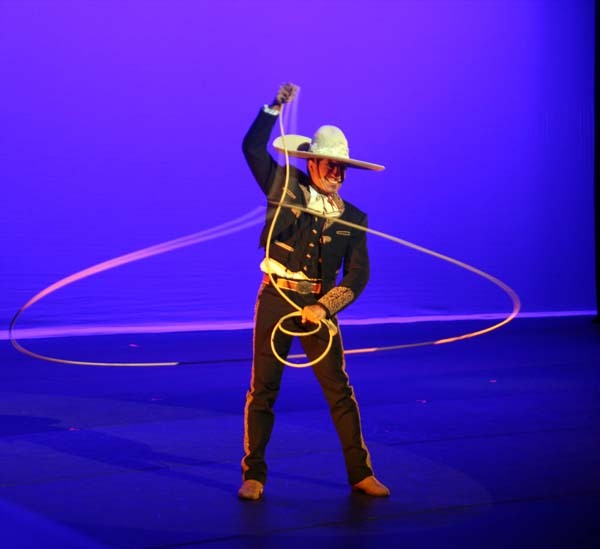 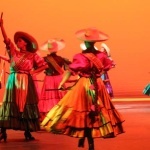 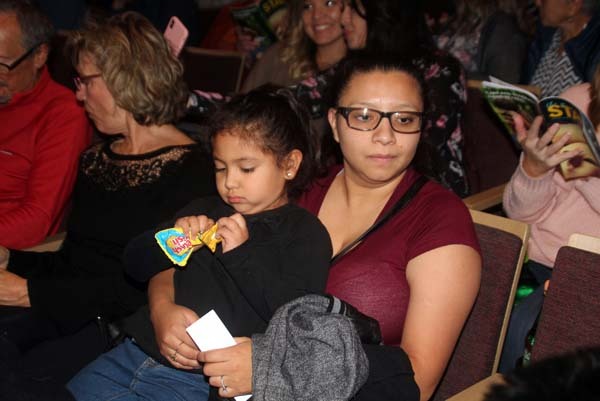 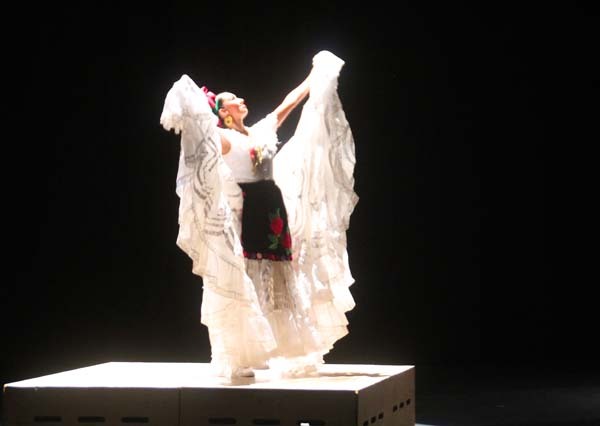 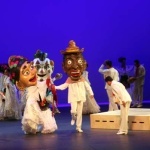 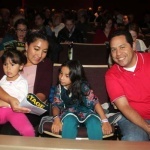 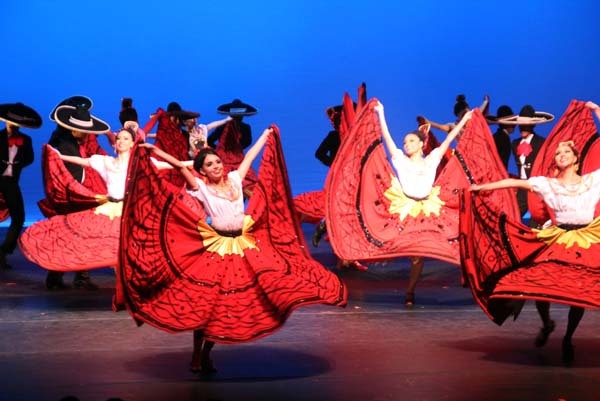 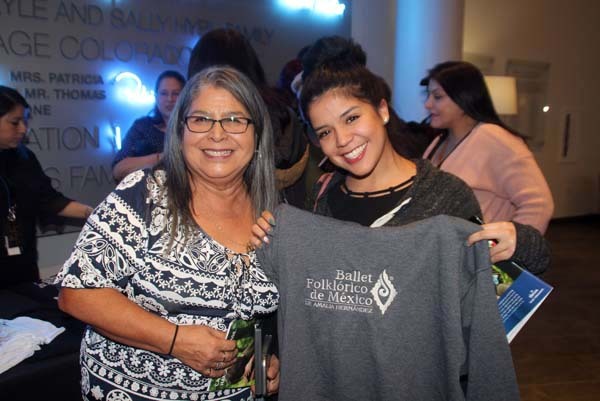 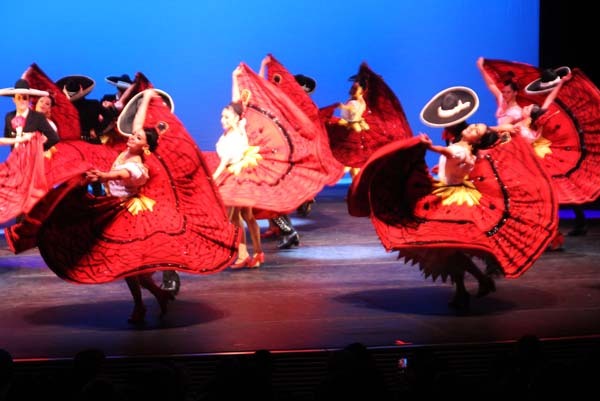 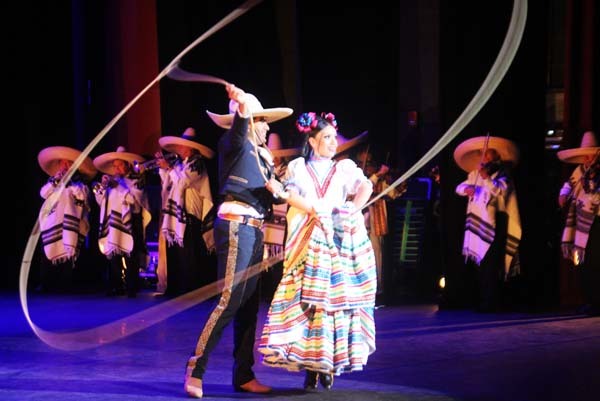 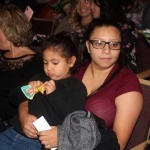 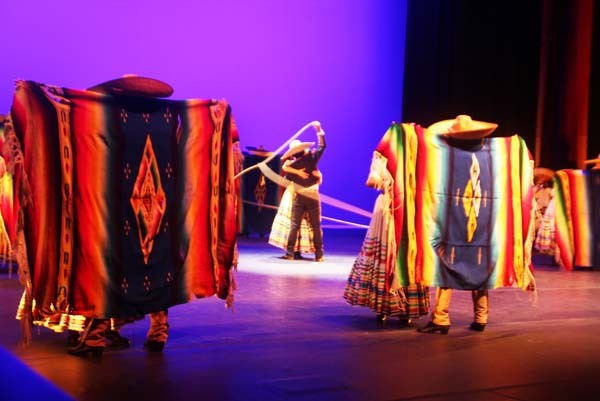 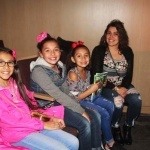 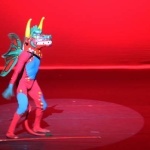 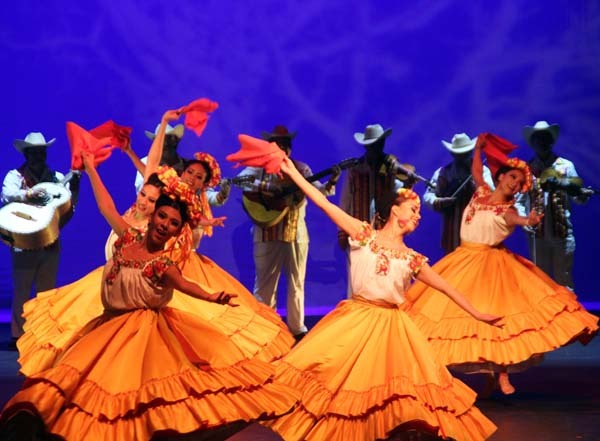 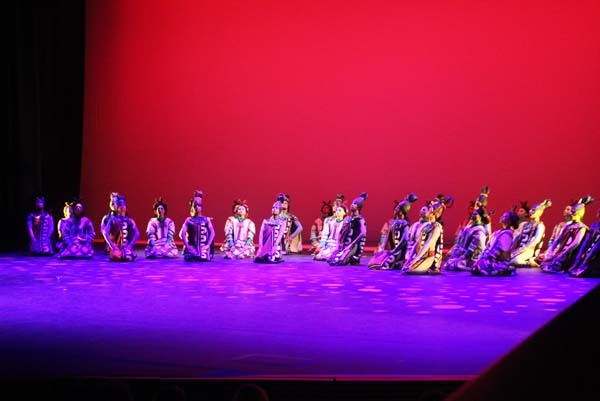 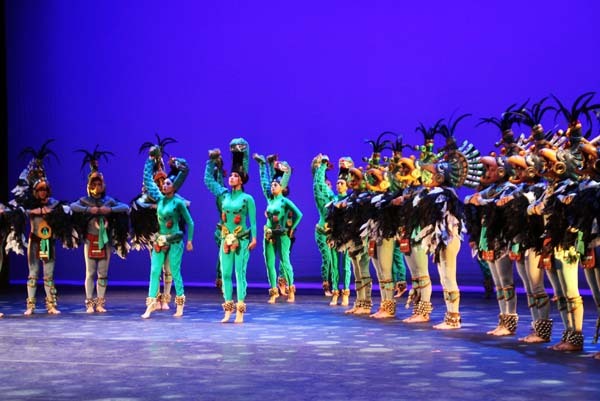 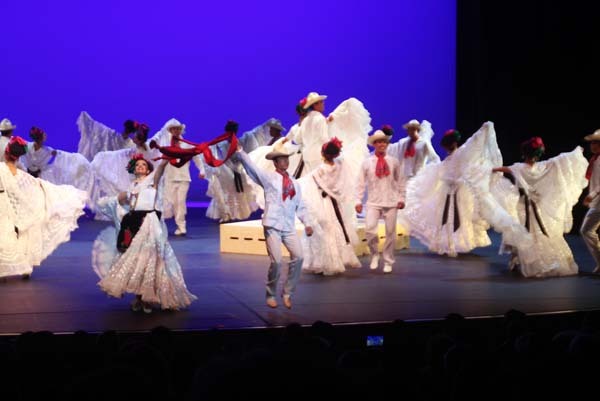 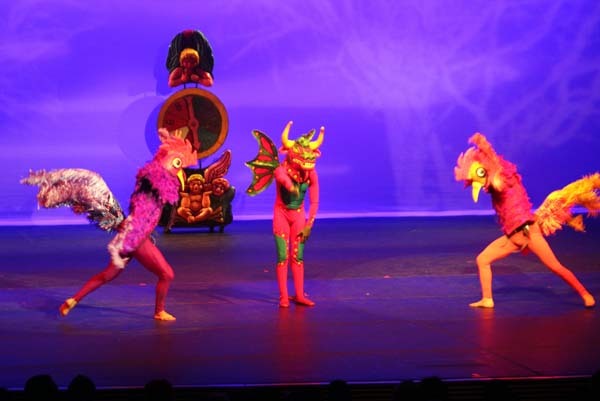 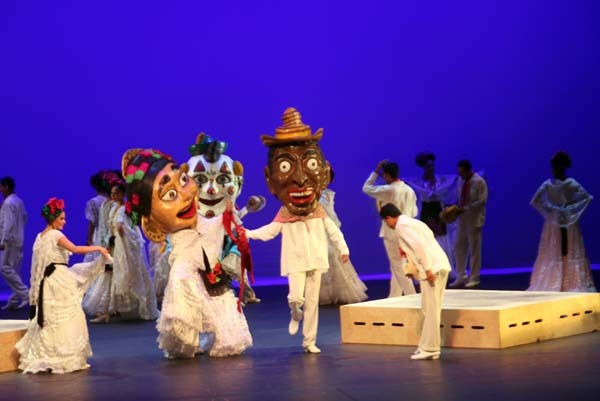 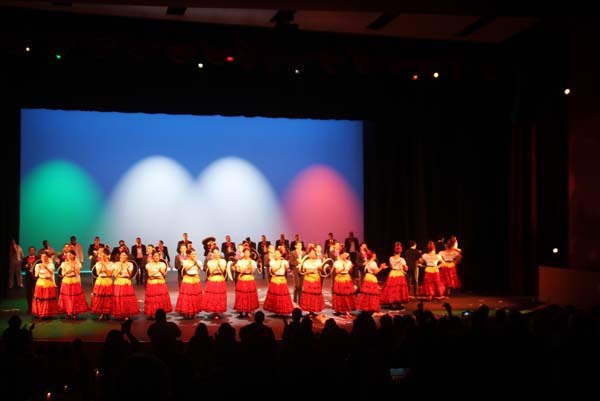 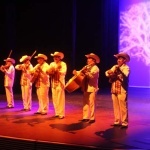 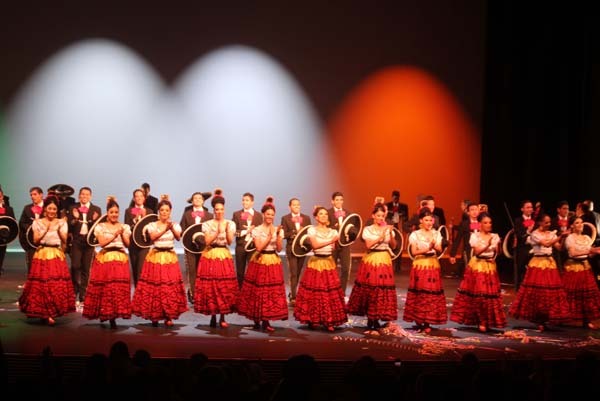 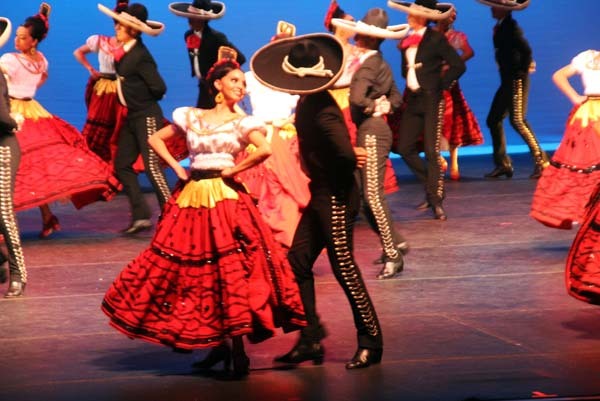 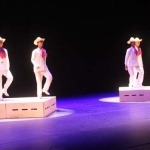 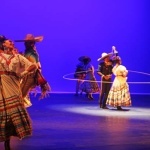 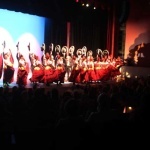 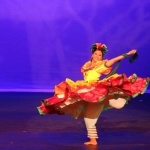 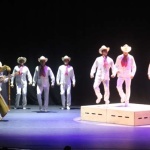 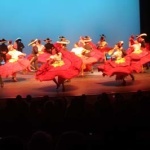 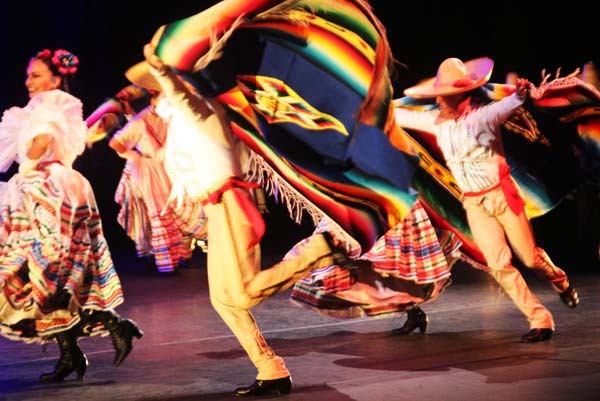 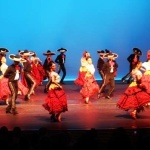 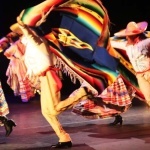 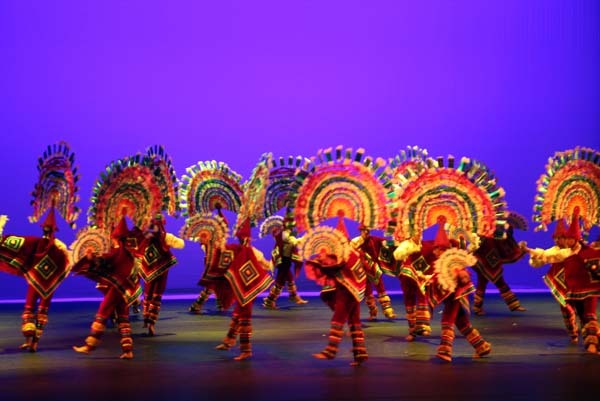 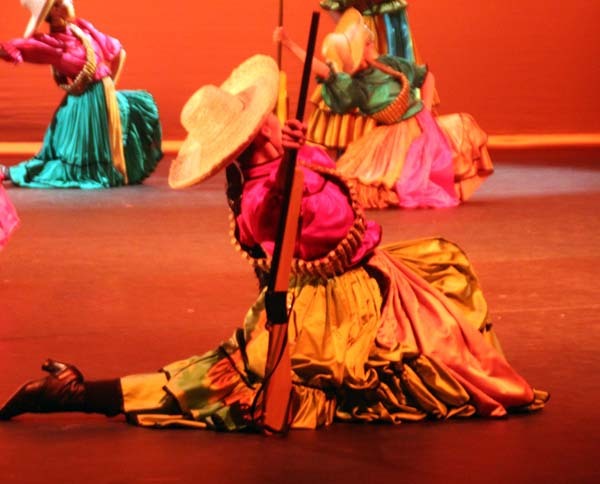 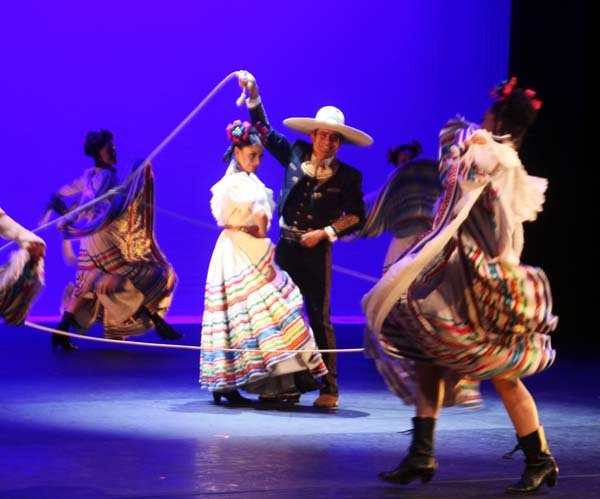 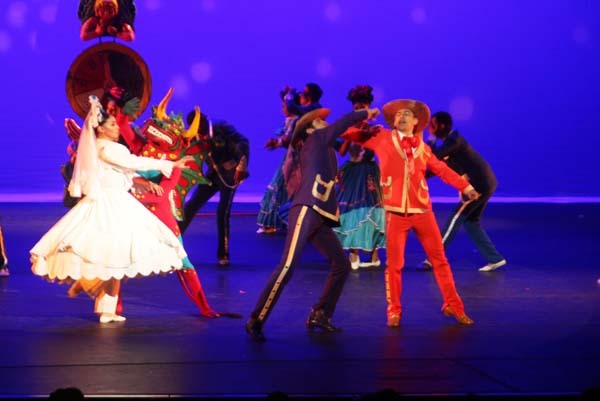 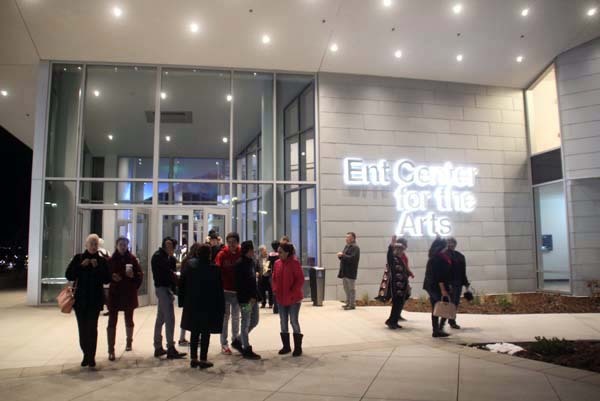 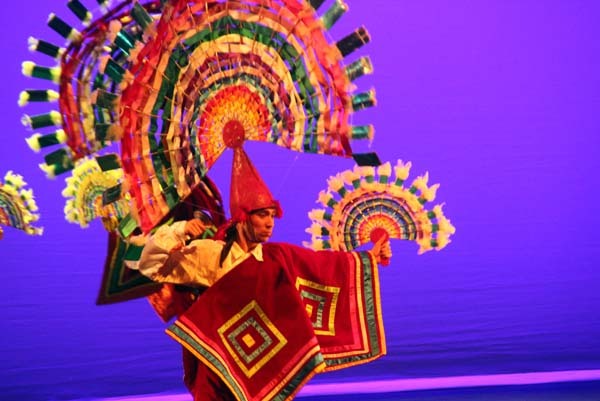 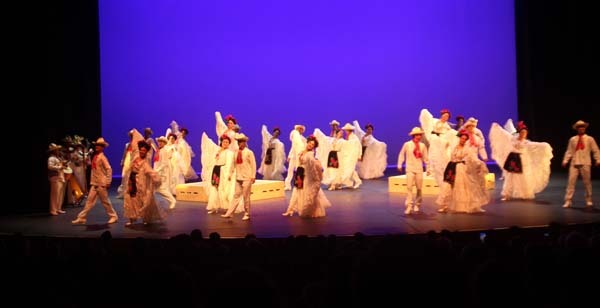 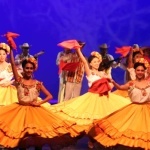 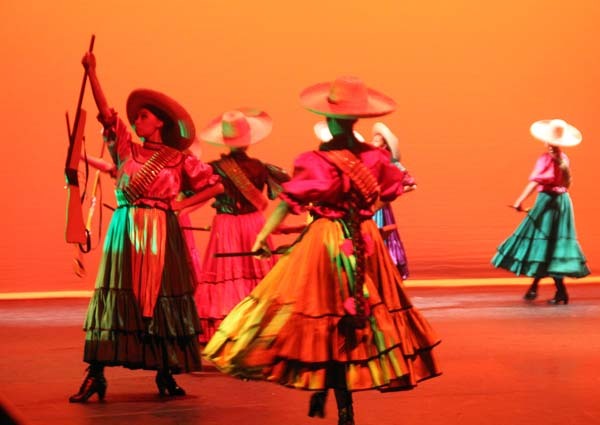 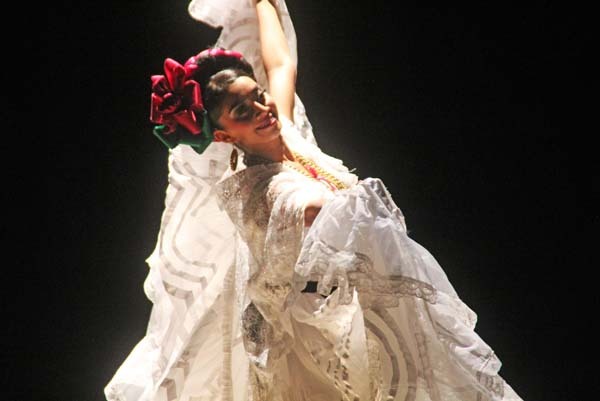 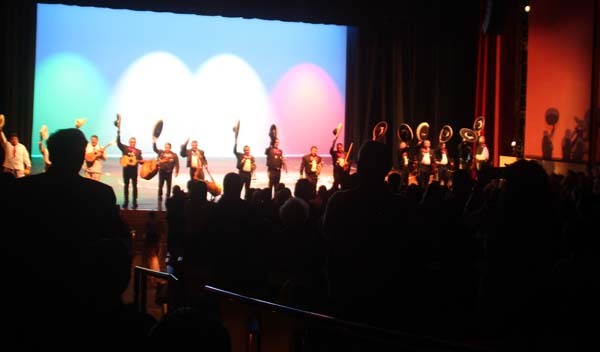 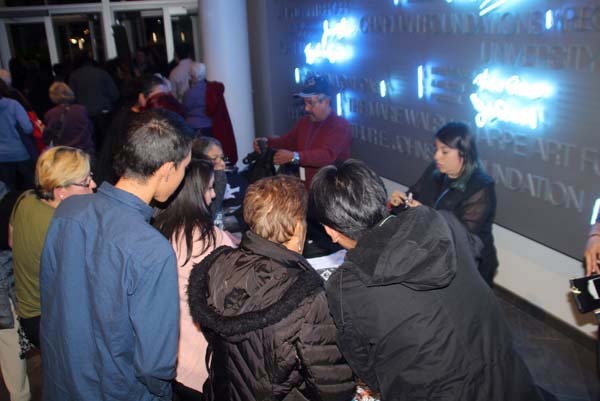 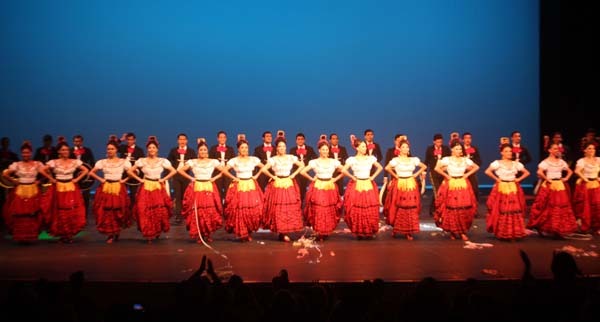 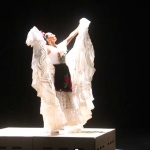 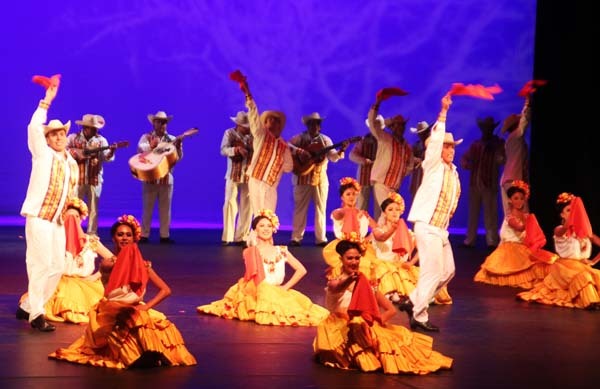 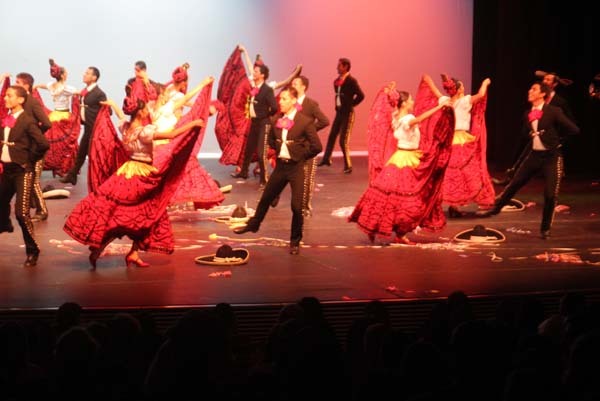 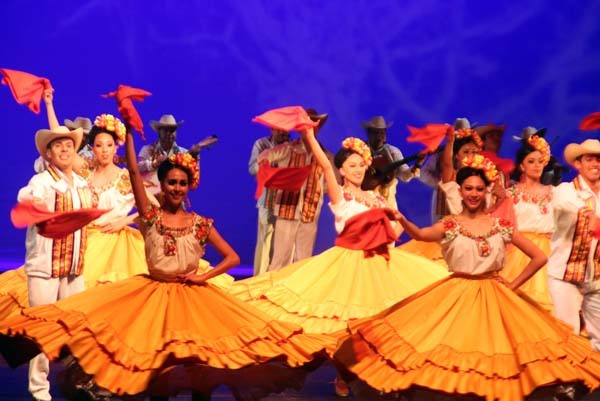 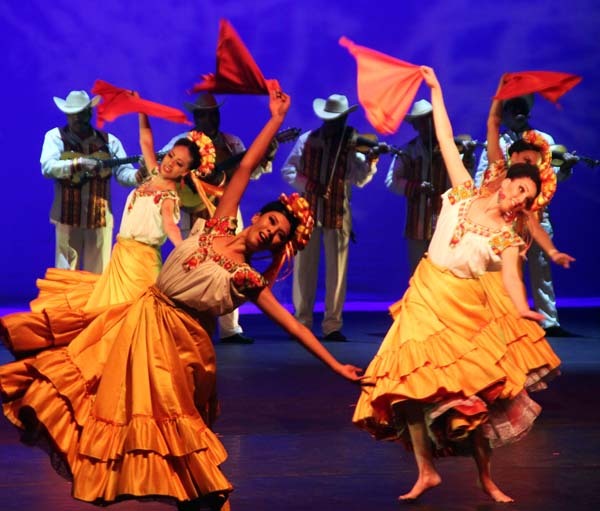 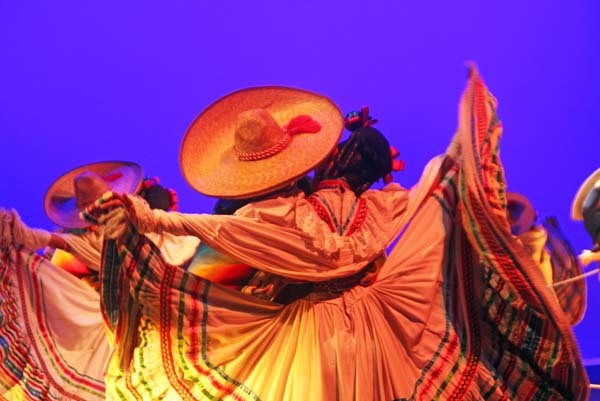 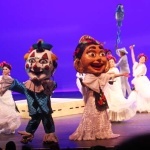 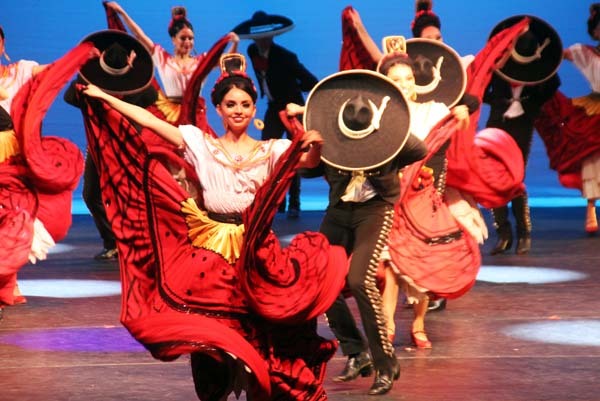 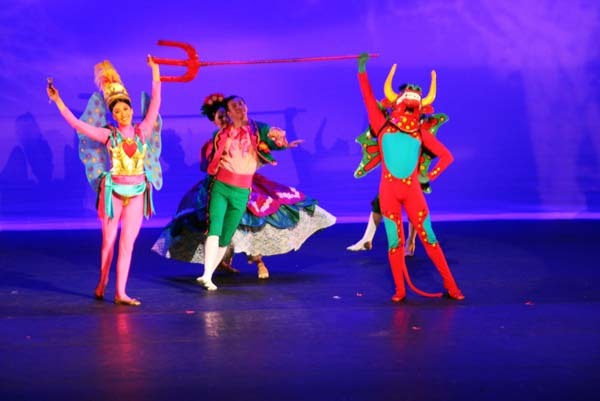 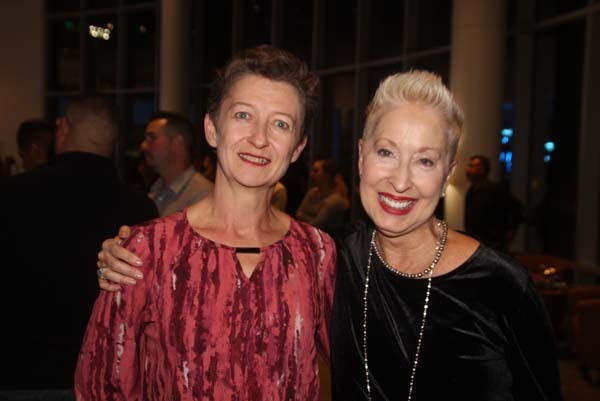 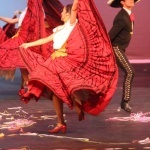 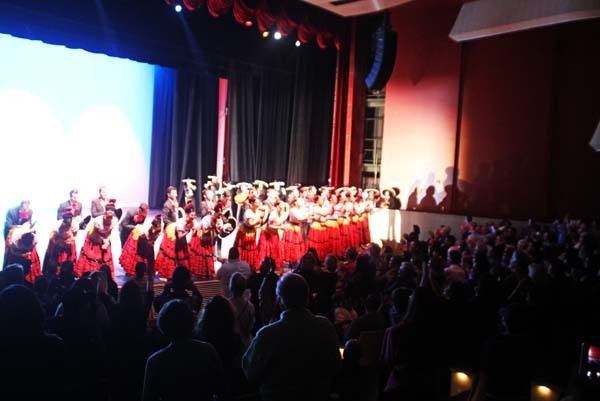 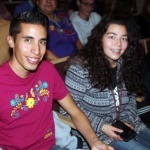 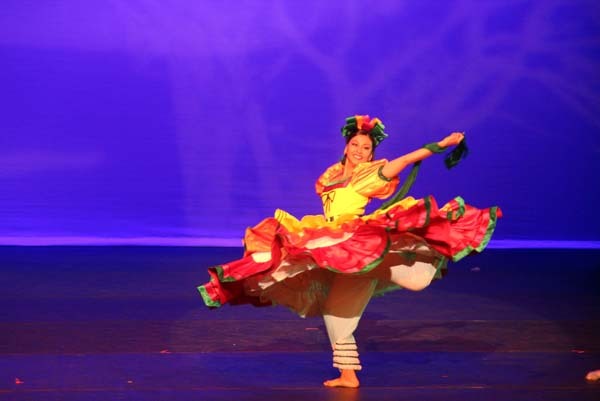 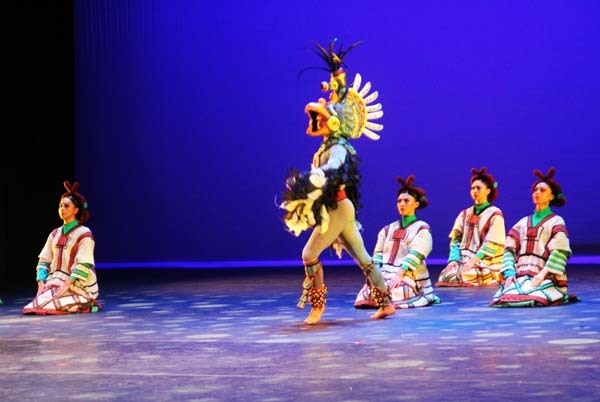 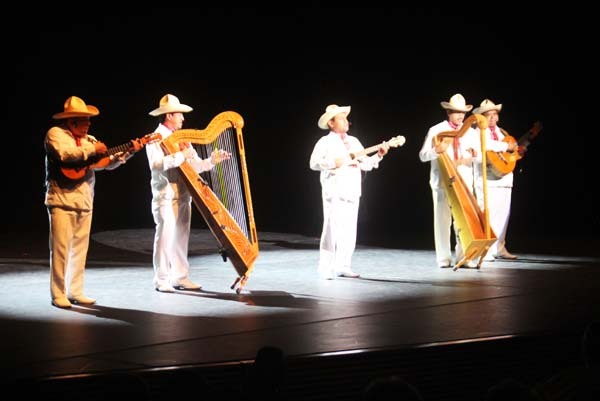 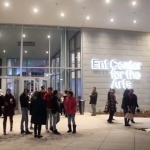 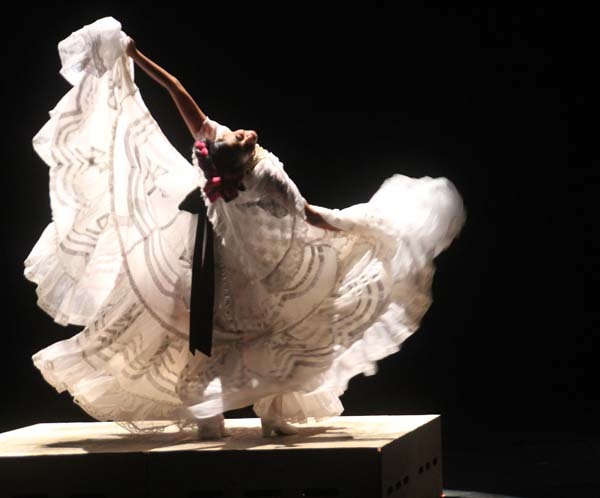 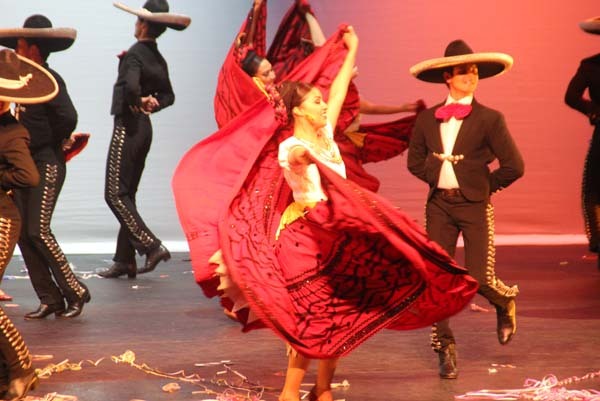 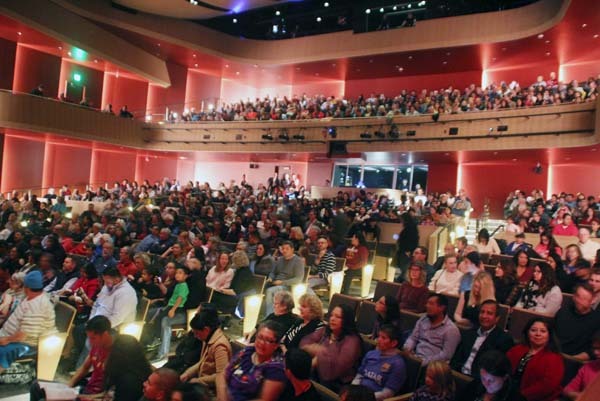 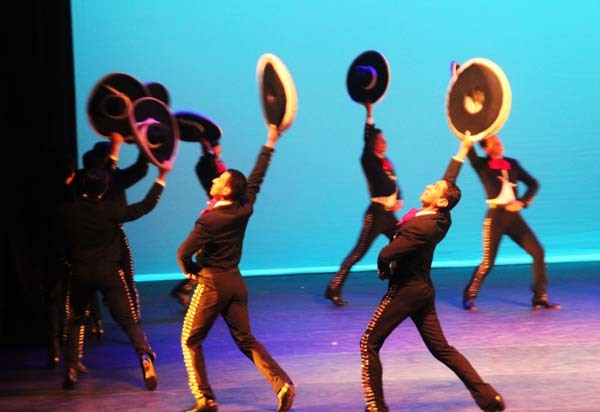 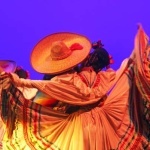 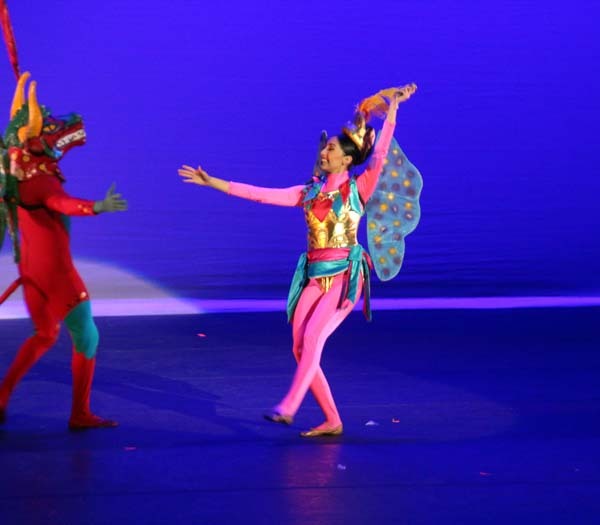 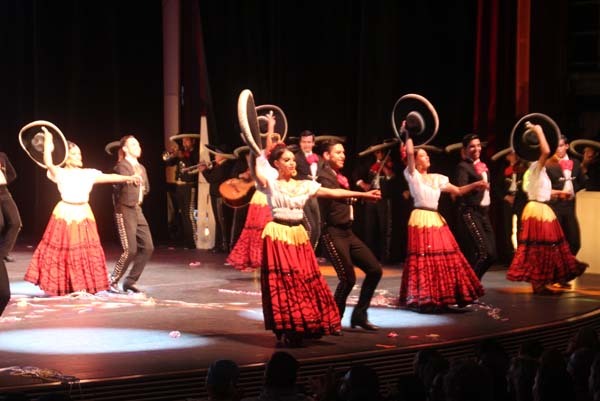 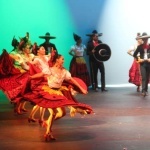 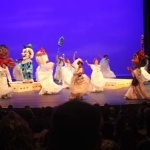 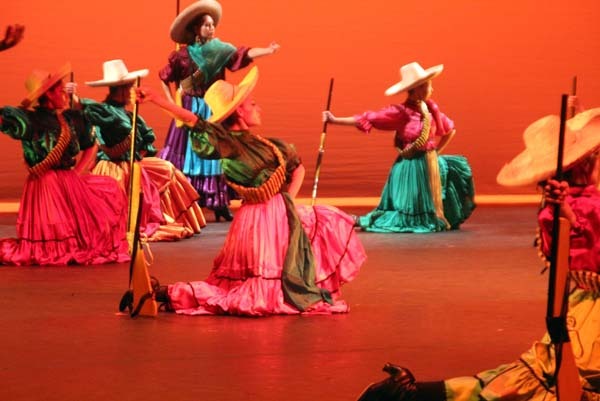 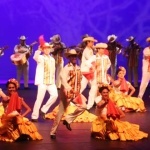 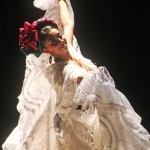 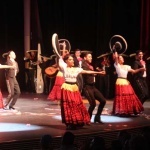 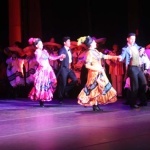 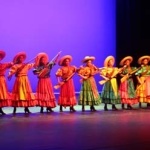 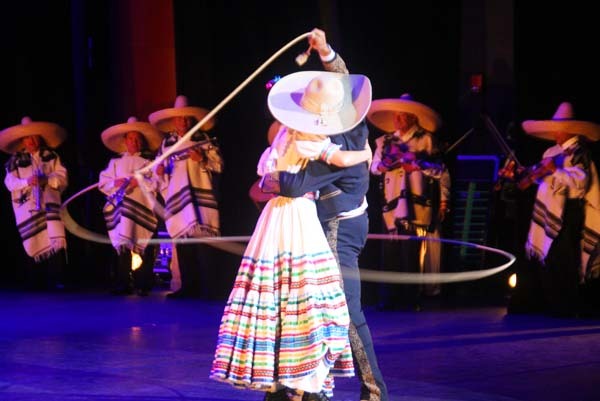 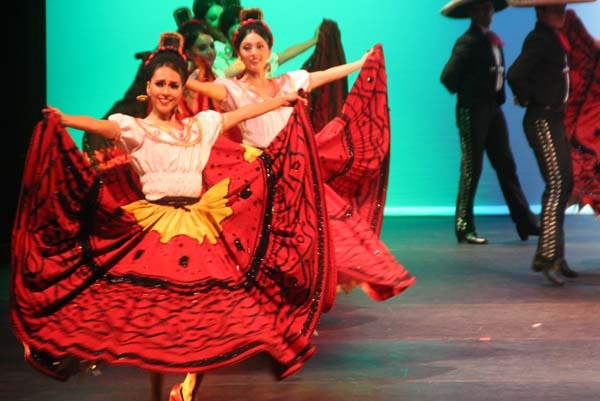 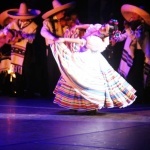 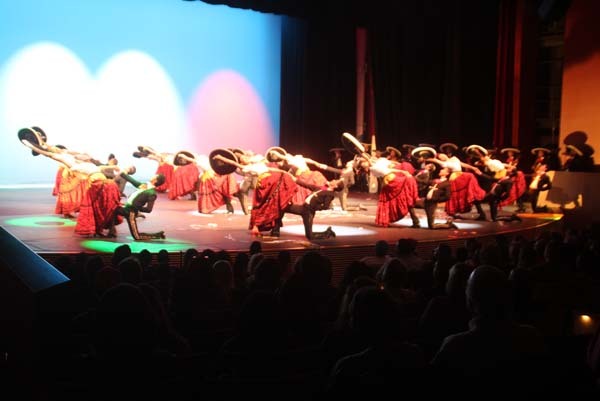 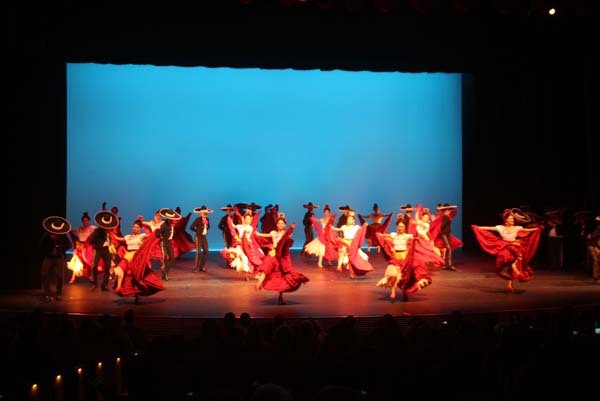 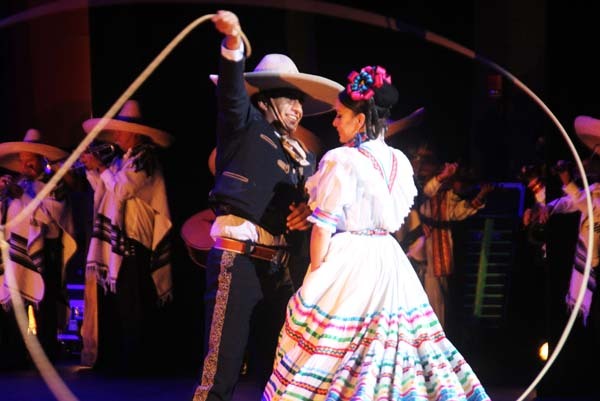 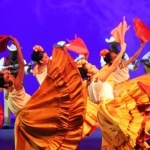 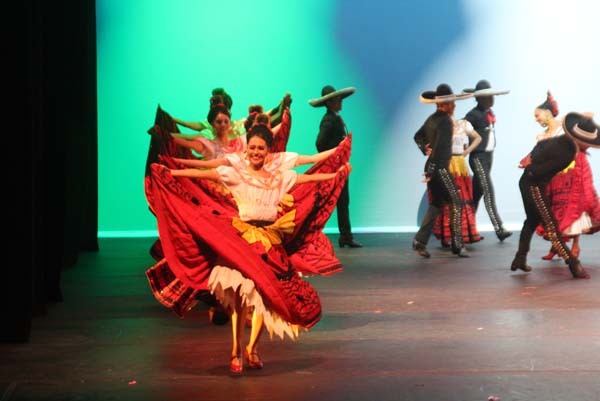 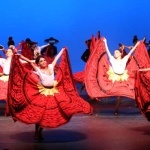 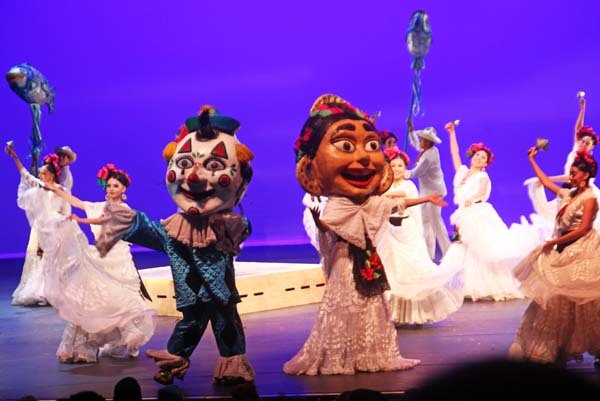 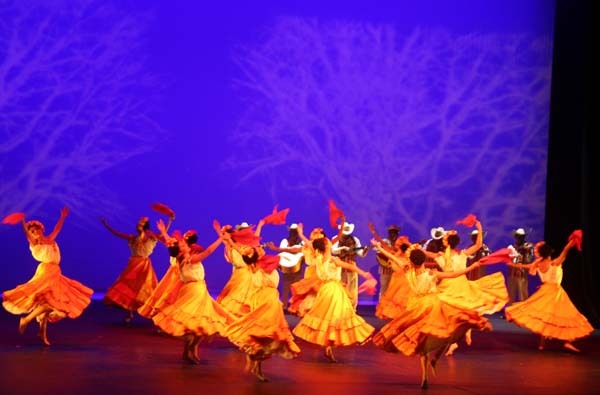 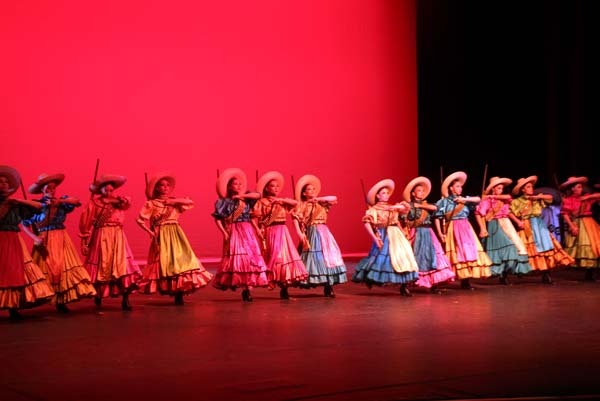 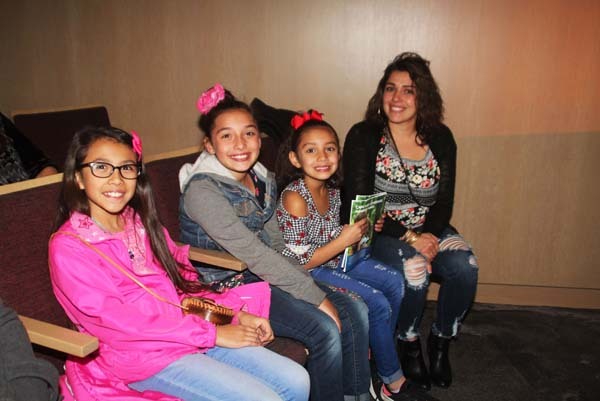 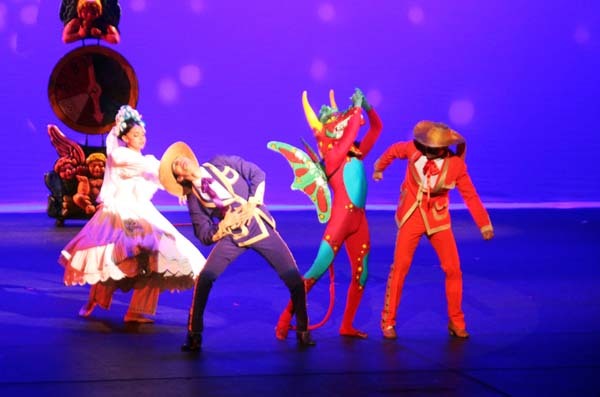 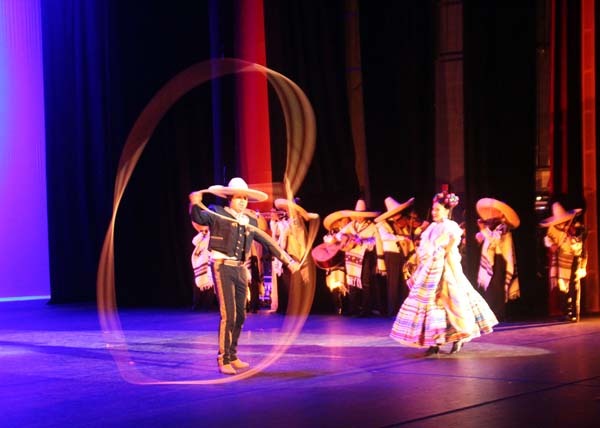 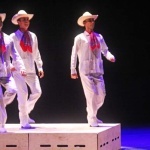 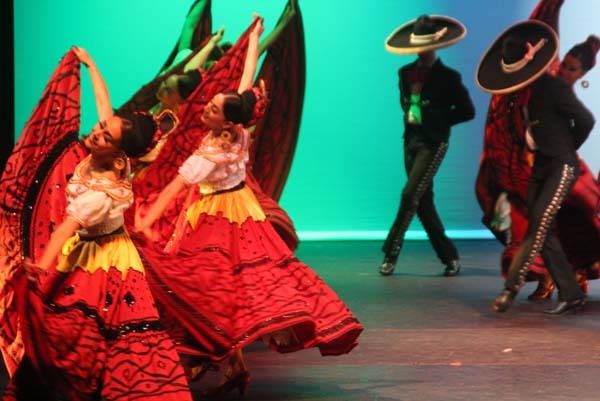 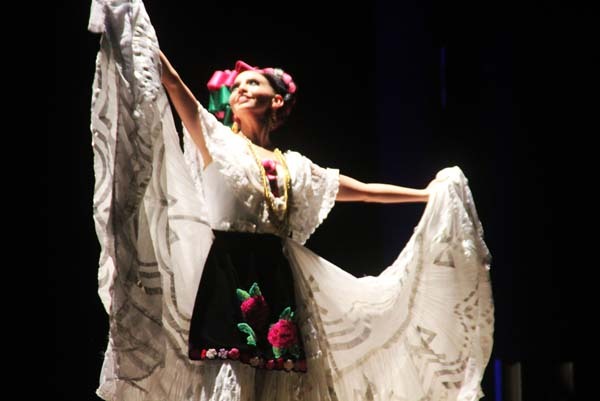 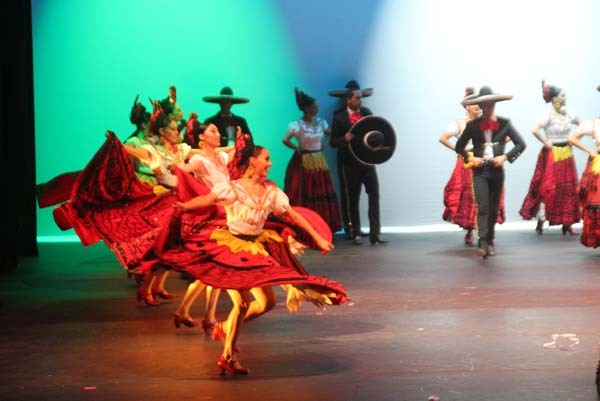 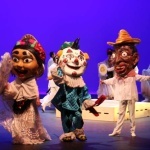 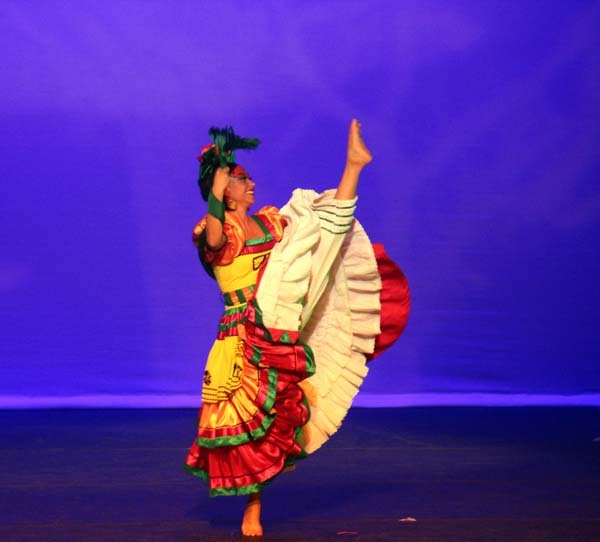 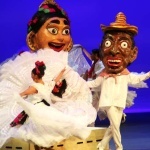 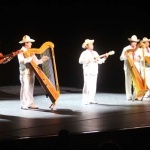 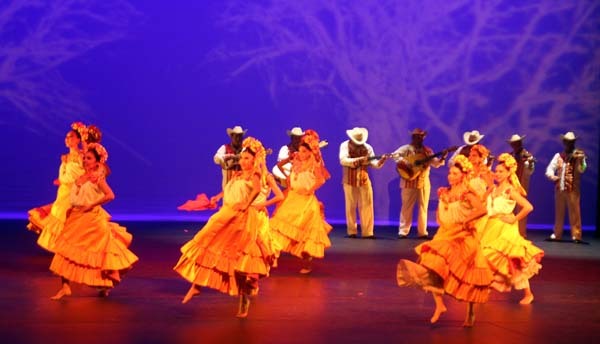 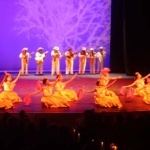 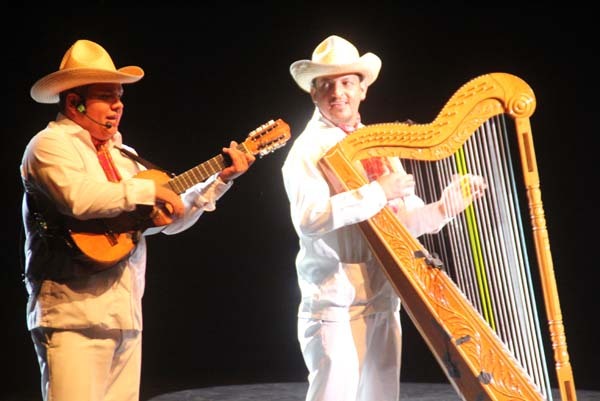 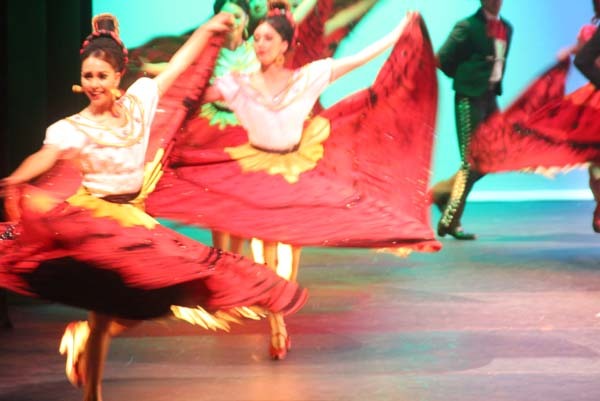 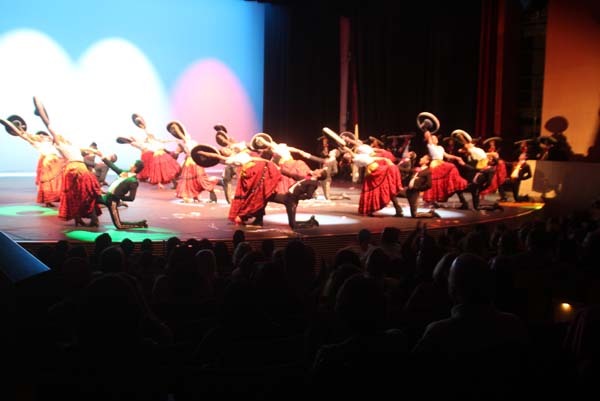 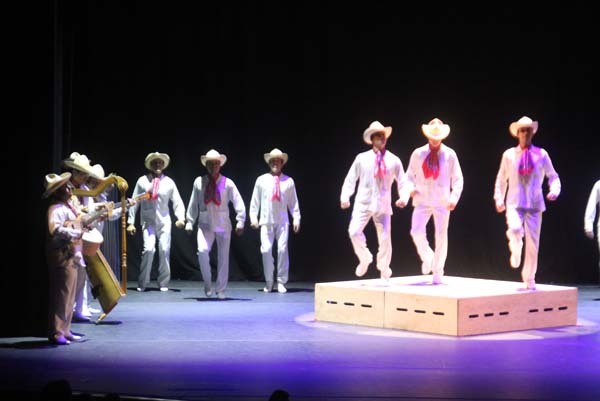 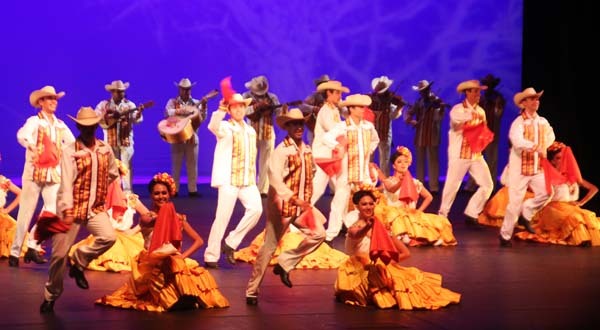 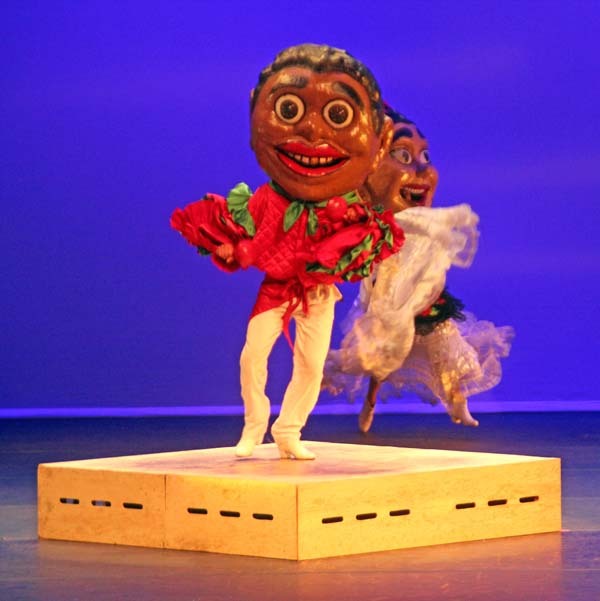 The Amalia Hernandez and The Ballet Folklorico de Mexico returned to our state and put on a stunning performance to a sold out audience at the beautiful new Ent Center for the Performing Arts at the University of Colorado in Colorado Springs. 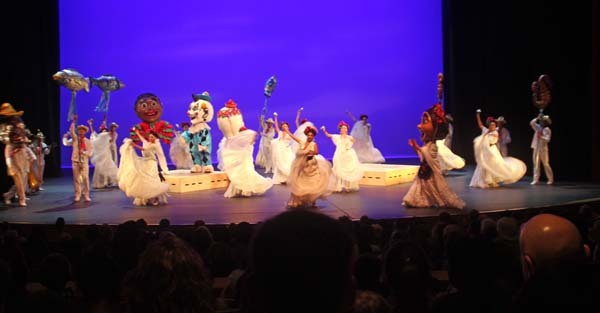 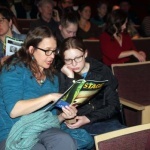 The November 1st show was the company’s only Colorado performance. 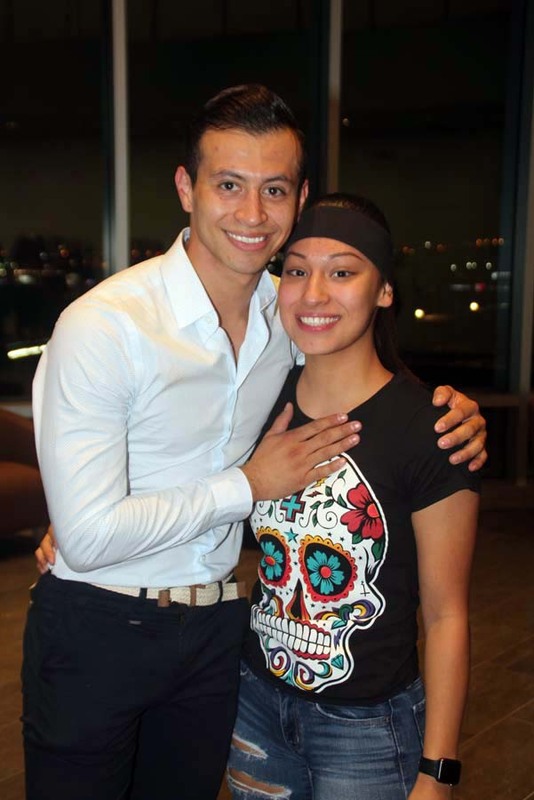 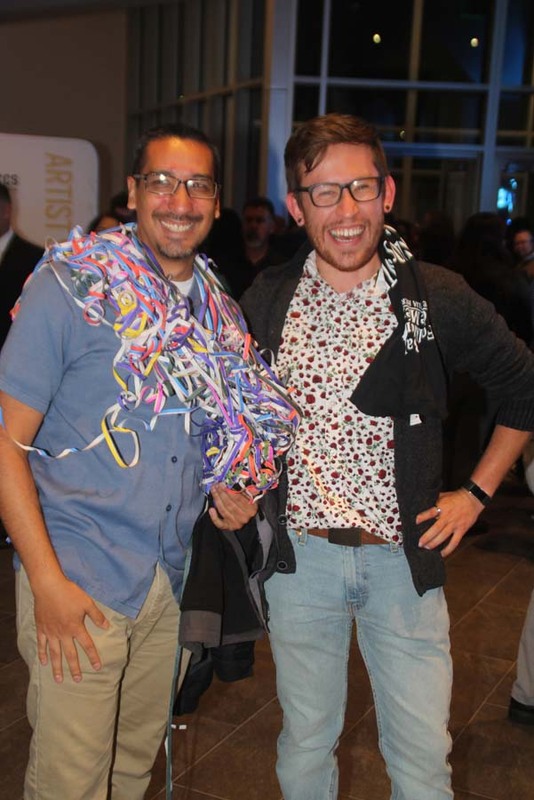 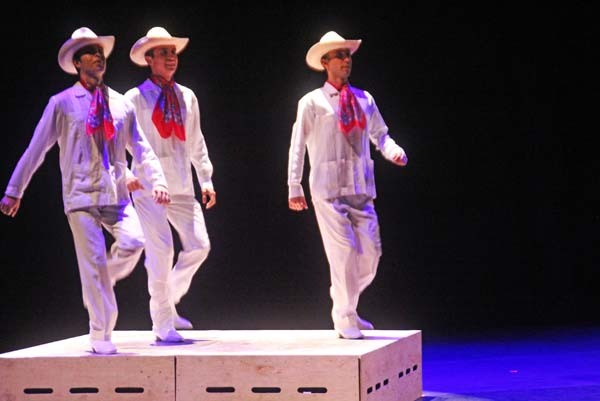 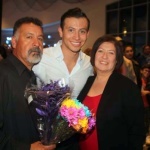 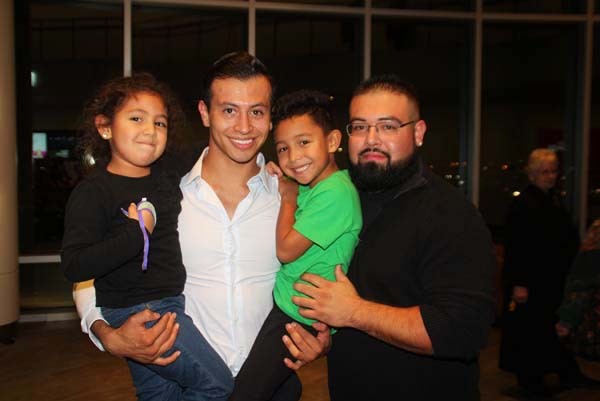 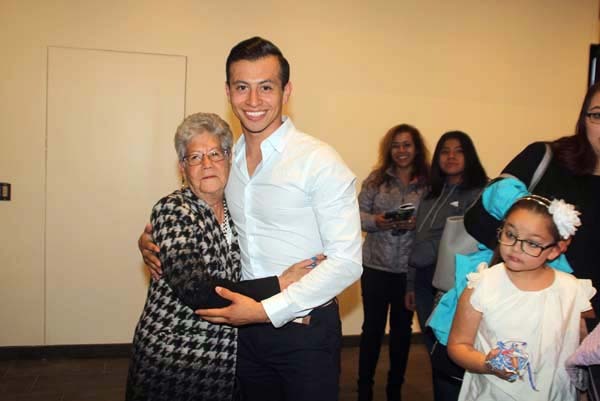 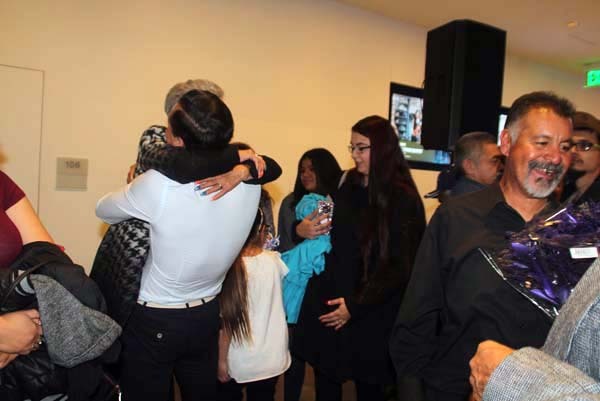 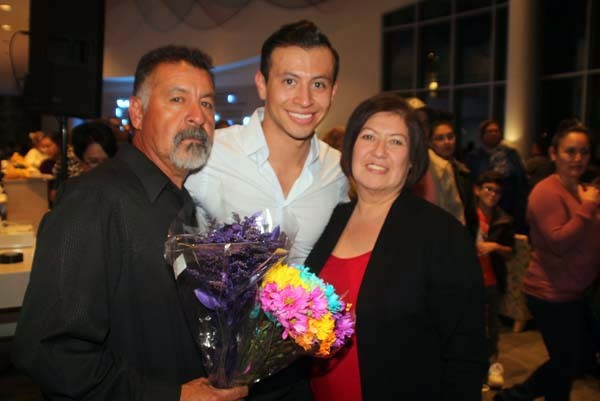 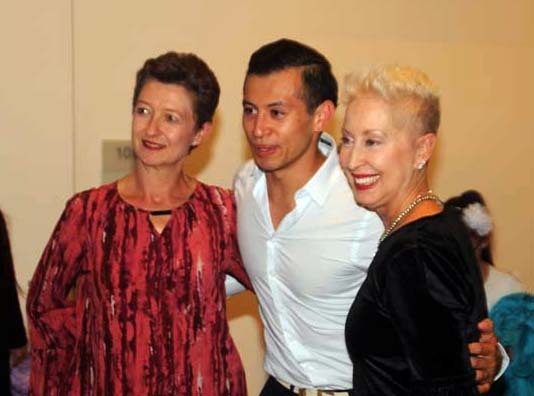 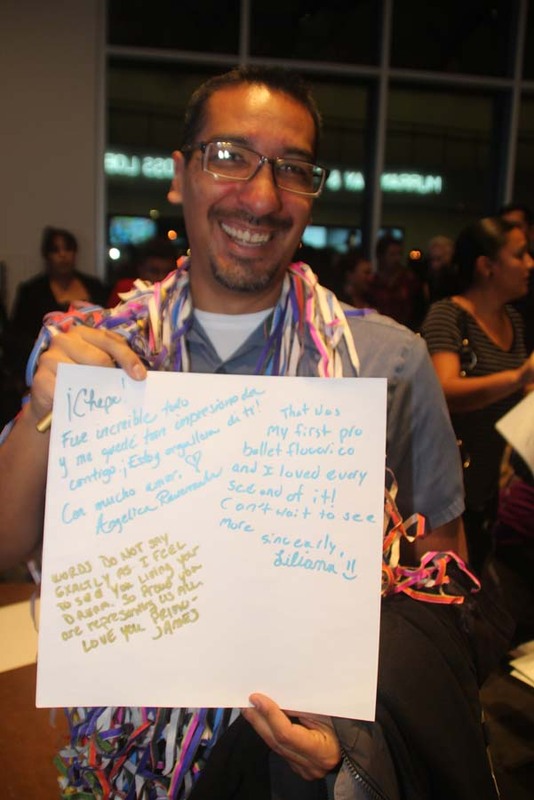 It was also a wonderful homecoming for Denver native Jose Alonso Rosales who is only one of handful of U.S. citizens to ever perform with the Mexican dance company. 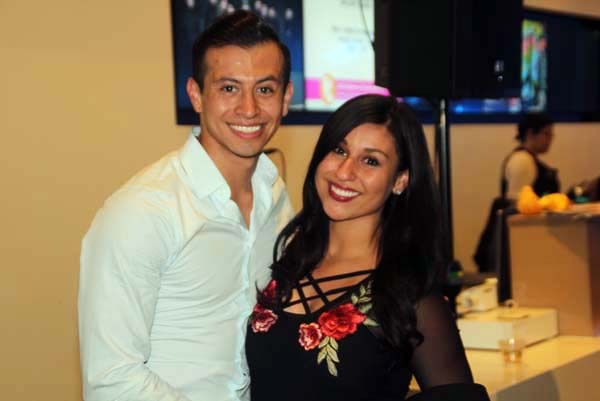 Latin Life Denver was honored to be the exclusive event photographer for this incredible evening. 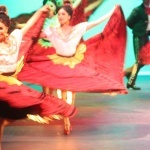 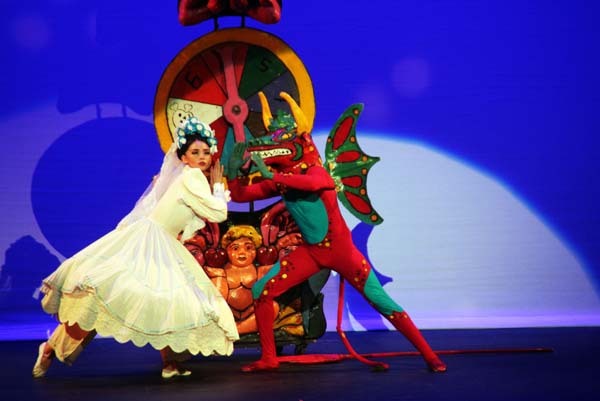 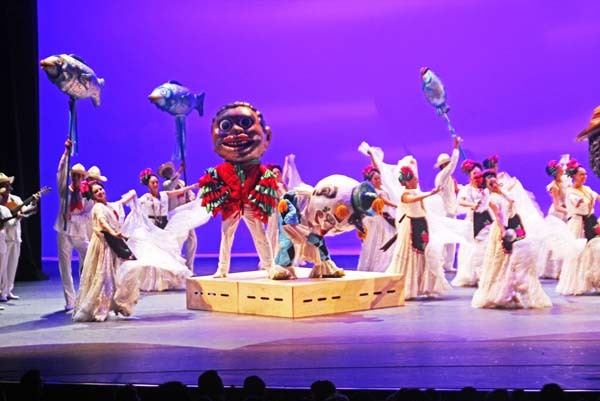 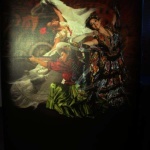 Per the evening’s program, “In 1952 Amalia Hernandez founded the Ballet Folklorico de Mexico, having embarked at a very early age on a never ending quest to rescue the dancing traditions of Mexico. 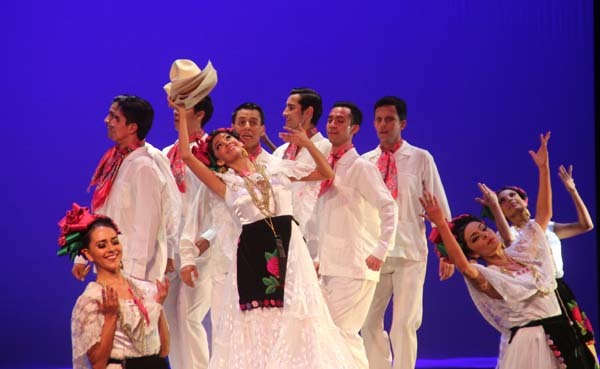 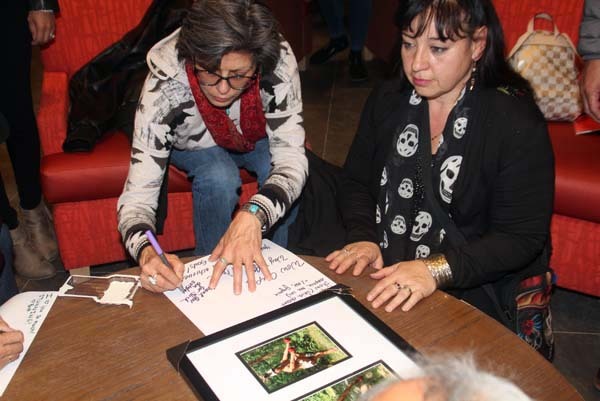 This vital search became a basic need to express not only in Mexico, but also in the rest of the world. 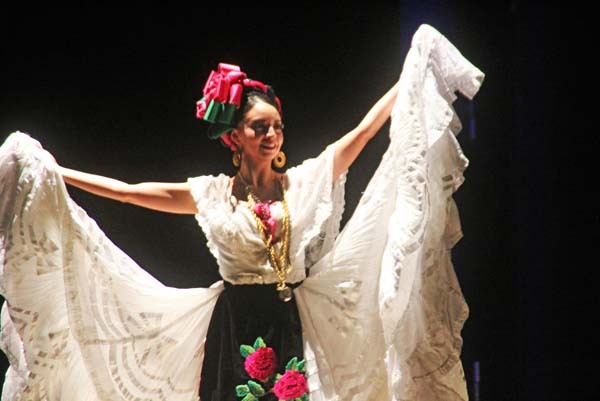 Her goal was to sahare the beauty of the universe in motion through Mexican dances from the Pre-Colombian era, the Hispanic Viceroy Period, and the popular period of the Revolutionary years. 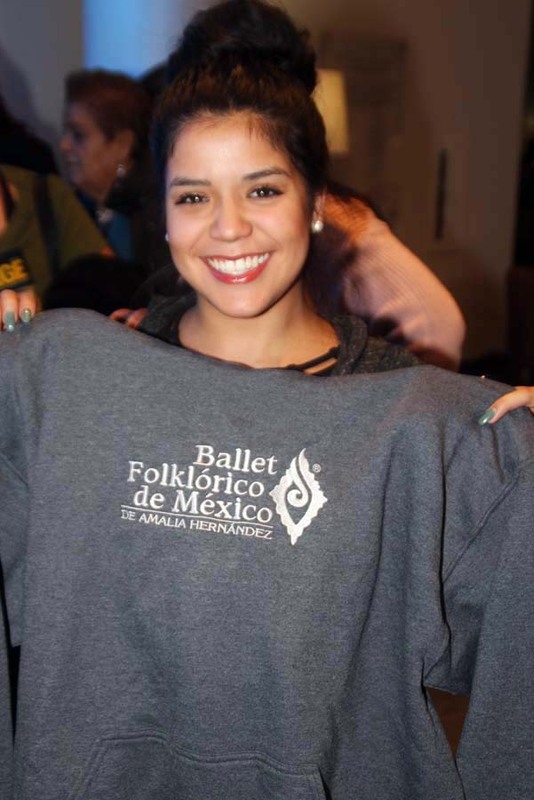 Since 1959, the company has been permanently housed at tehe Palace of Fine Arts in Mexico City. 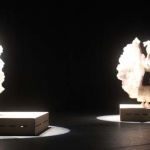 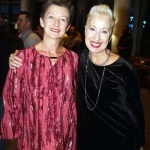 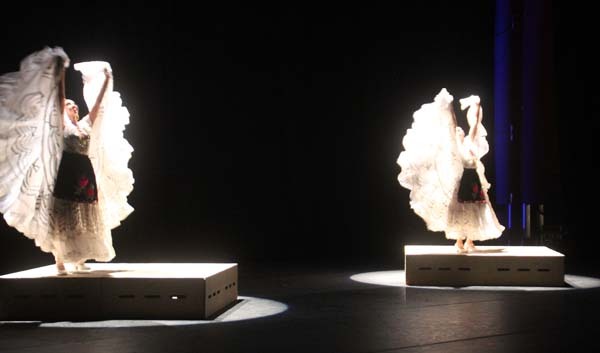 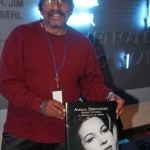 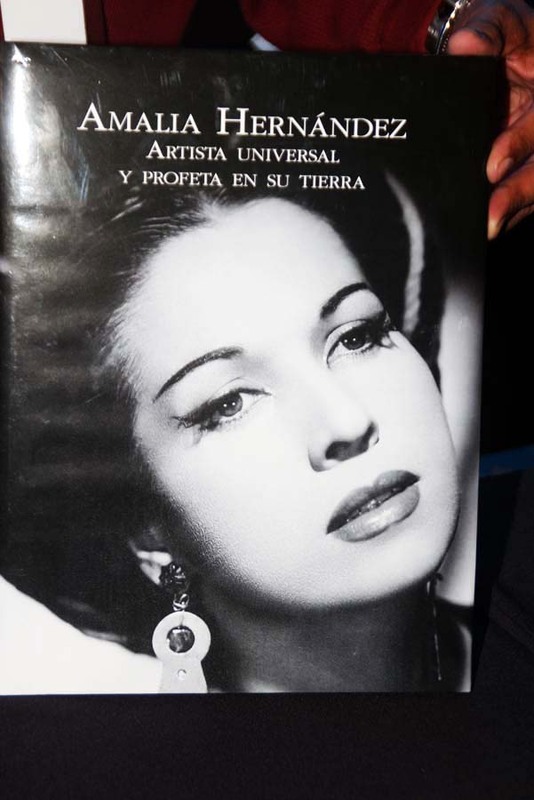 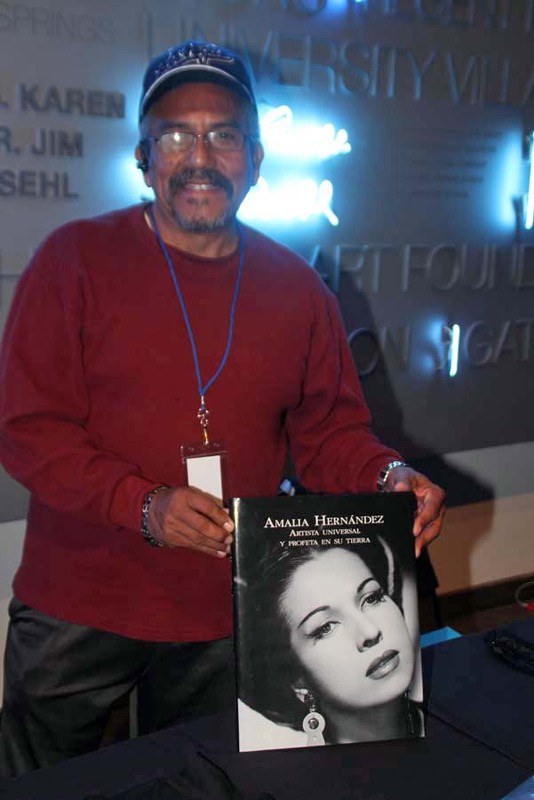 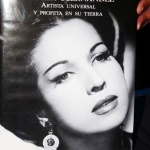 The institution has two main artistic companies call ‘The First Company’ and the ‘Resident Company’, both of whom alternate tours and performances in Mexico and abroad.” Amalia Hernandez passed away in 2000 at the age 83. 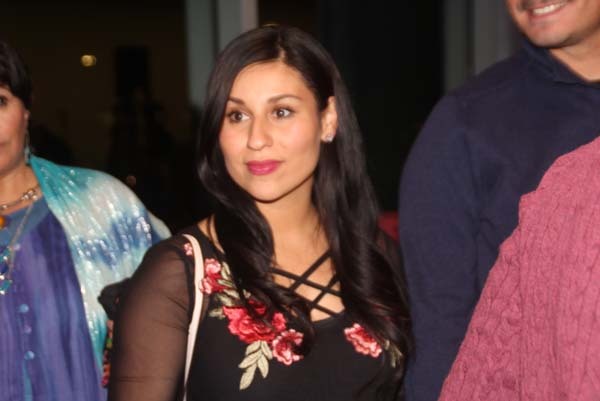 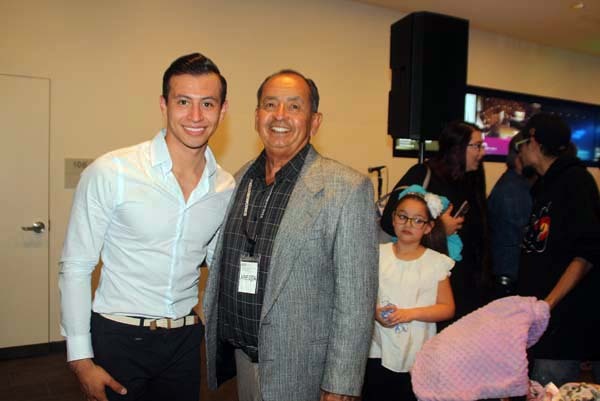 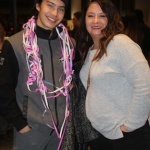 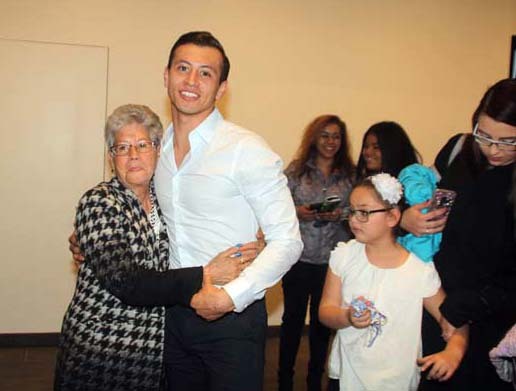 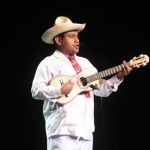 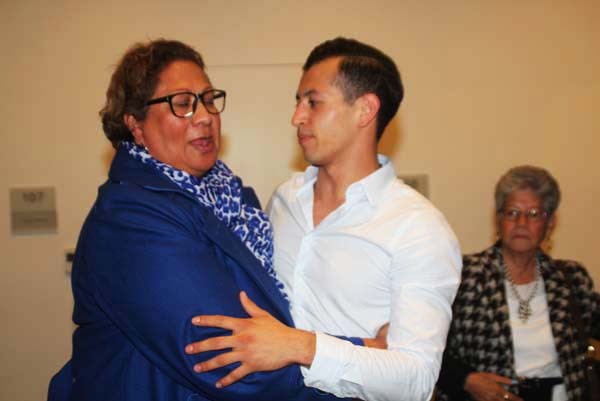 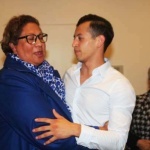 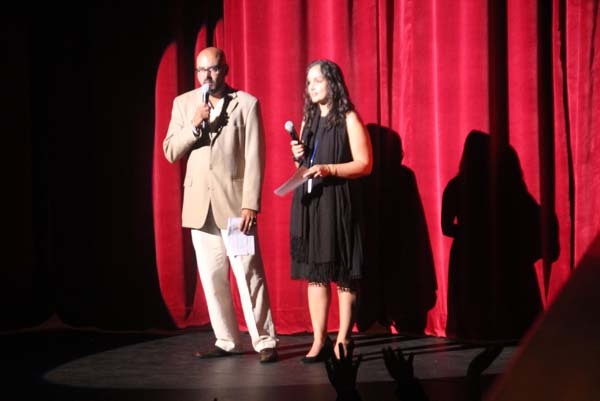 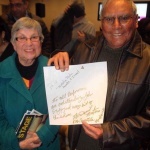 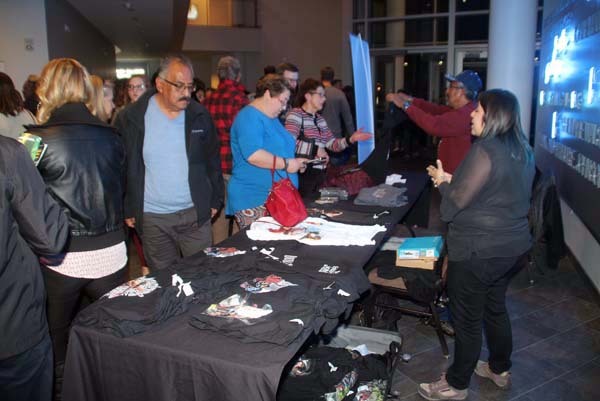 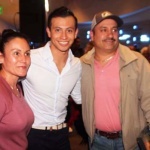 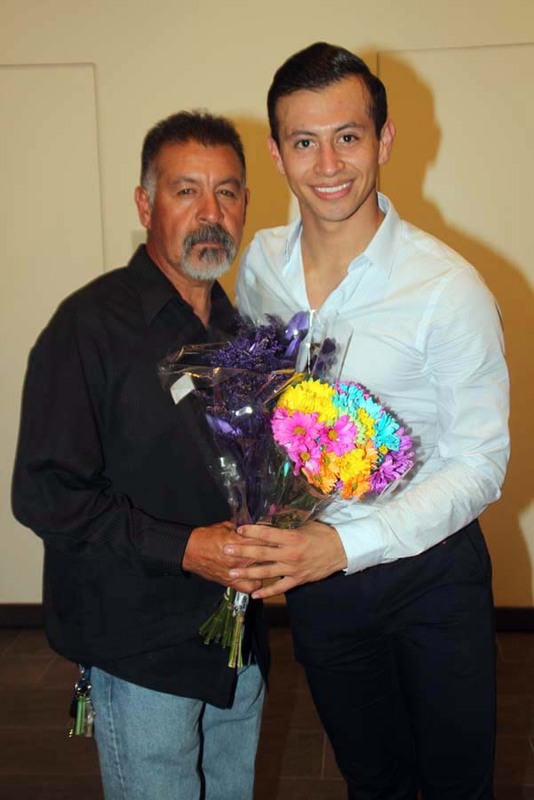 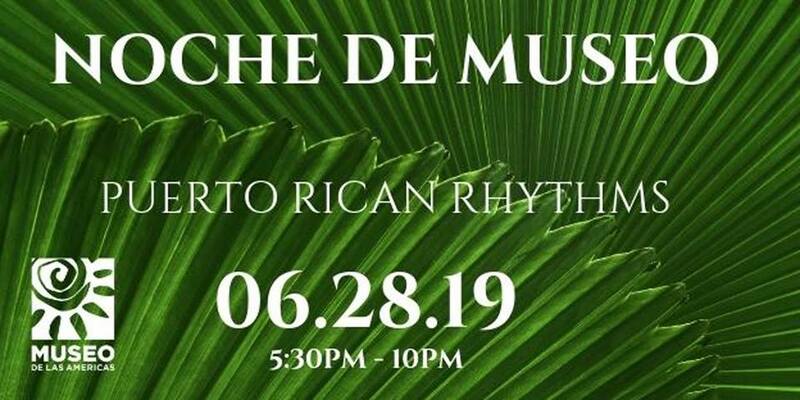 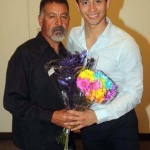 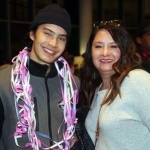 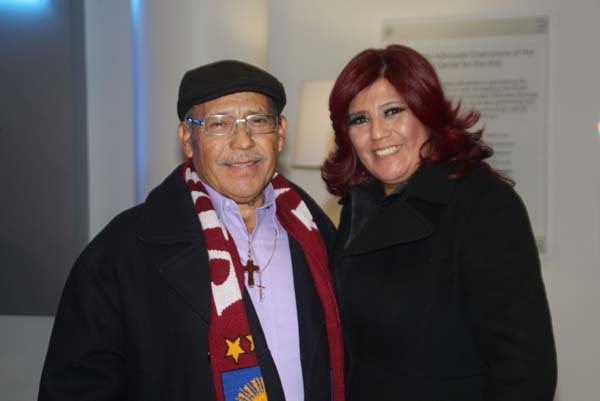 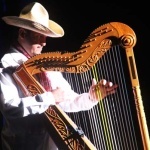 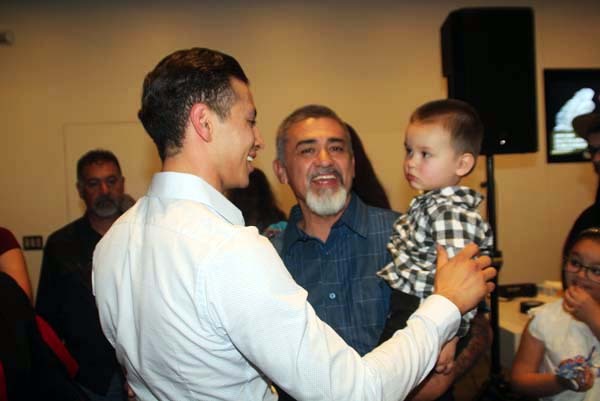 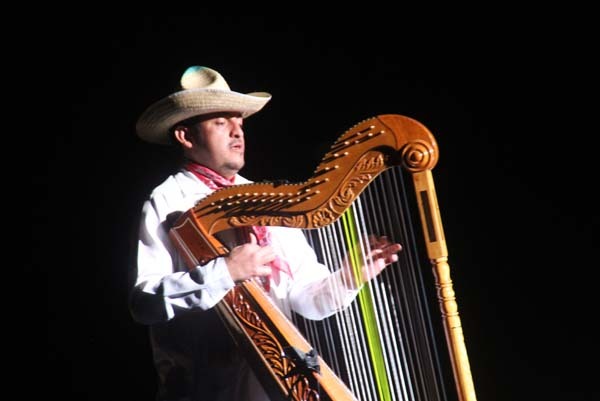 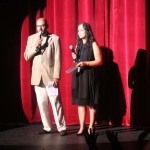 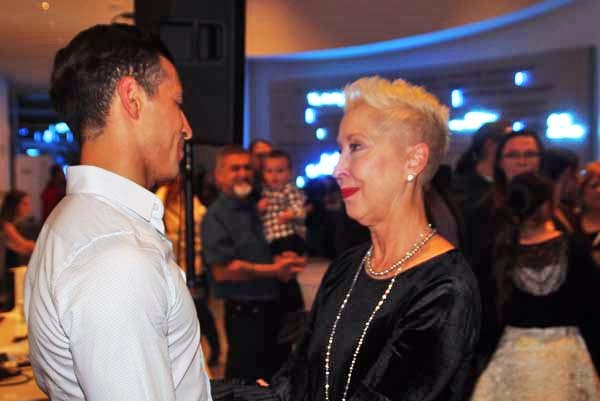 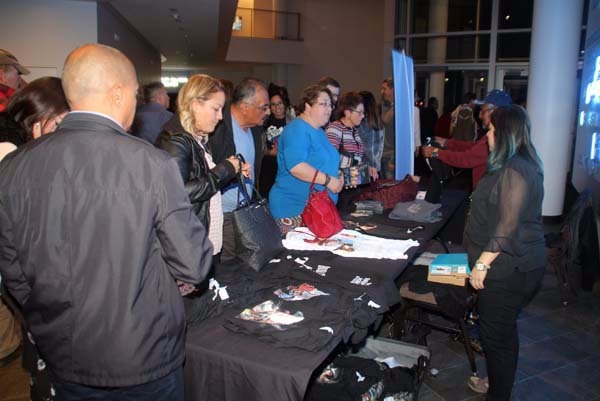 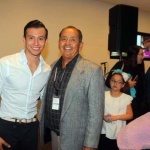 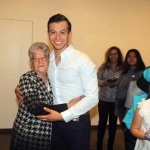 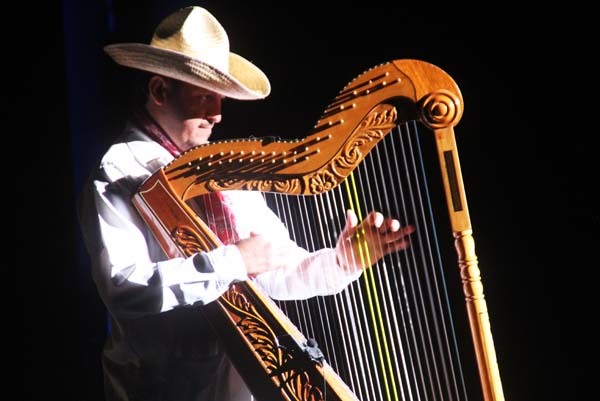 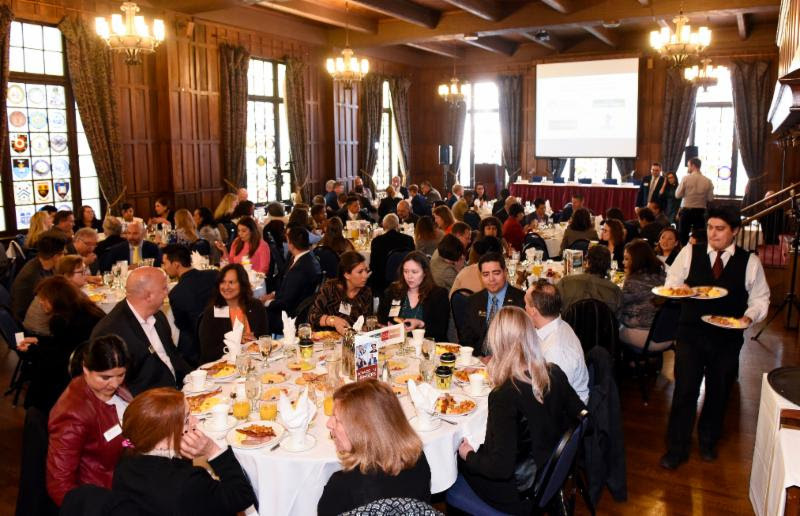 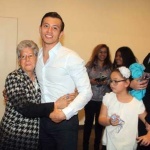 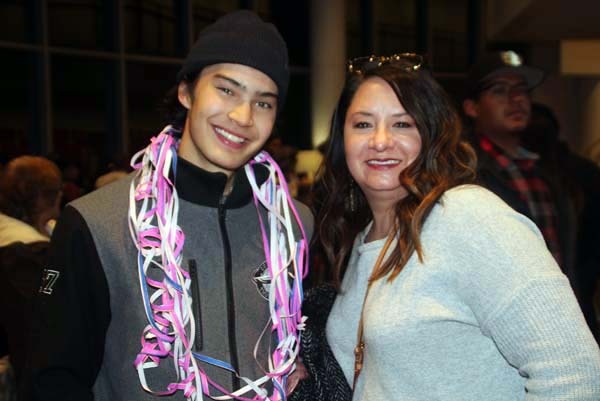 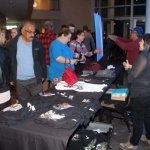 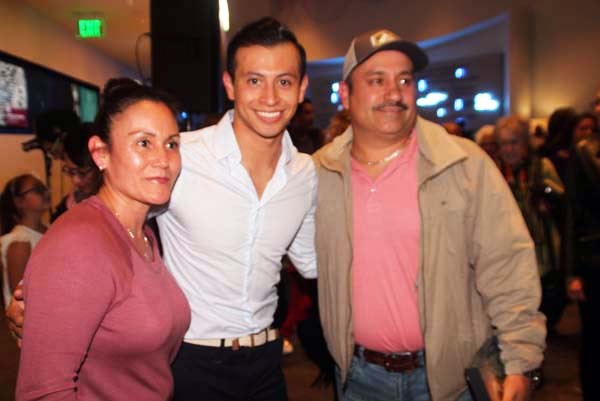 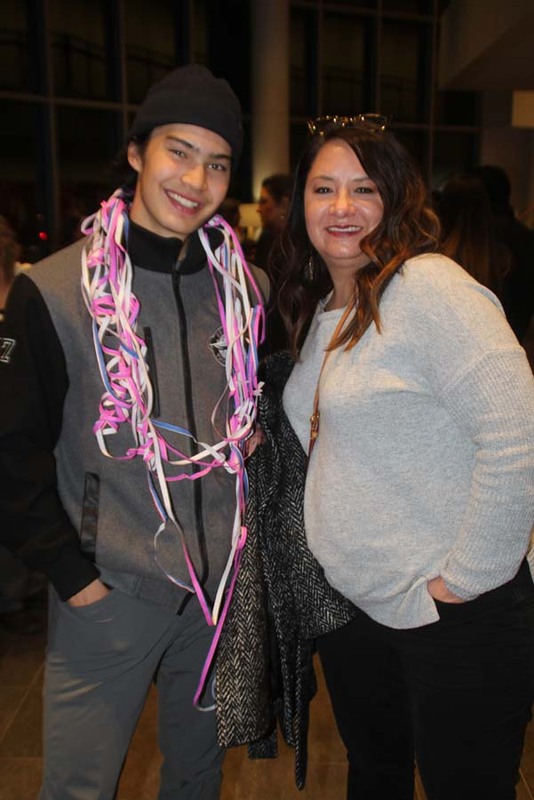 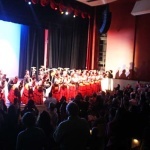 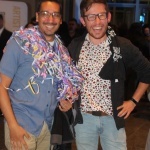 For Jose Rosales Alonzo it was a very special evening coming home to a huge crowd of supporters and well wishers who came out to see him perform. 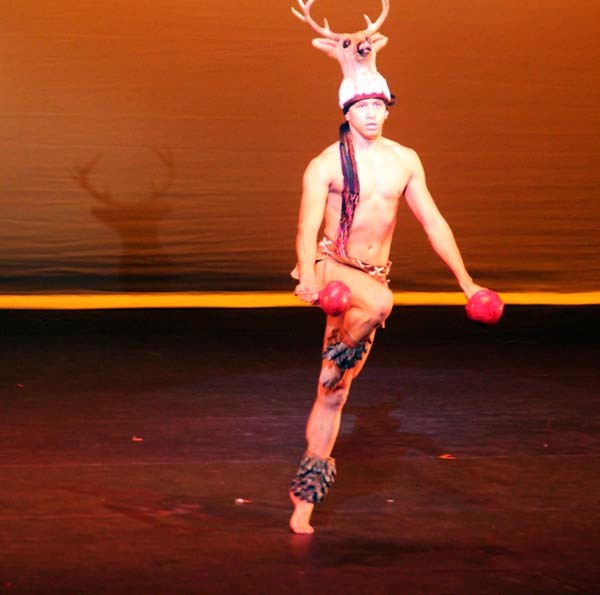 His performance of the Deer Dance Jose was spectacular. 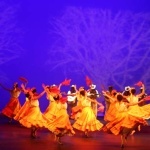 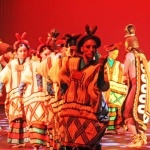 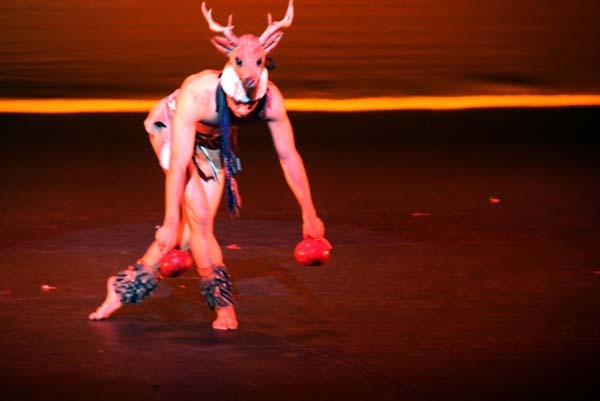 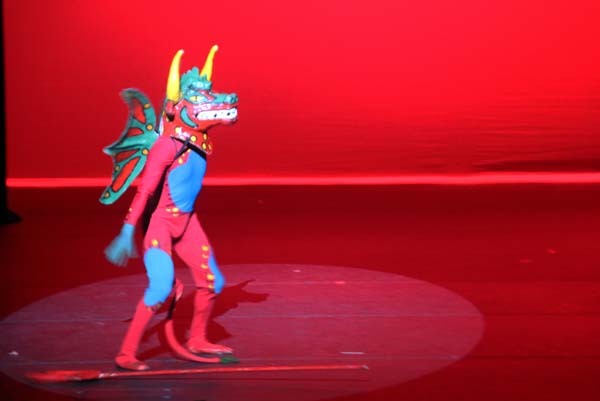 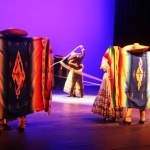 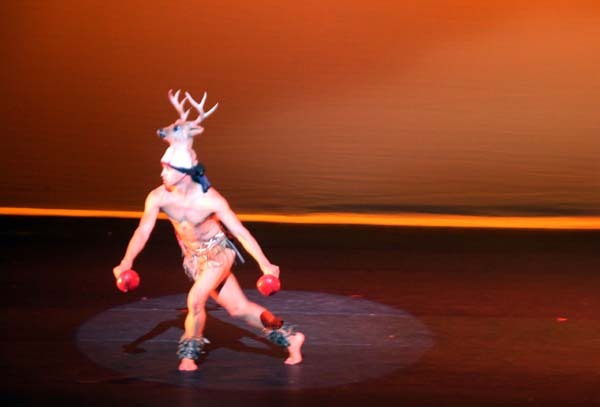 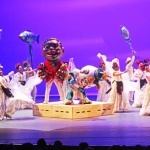 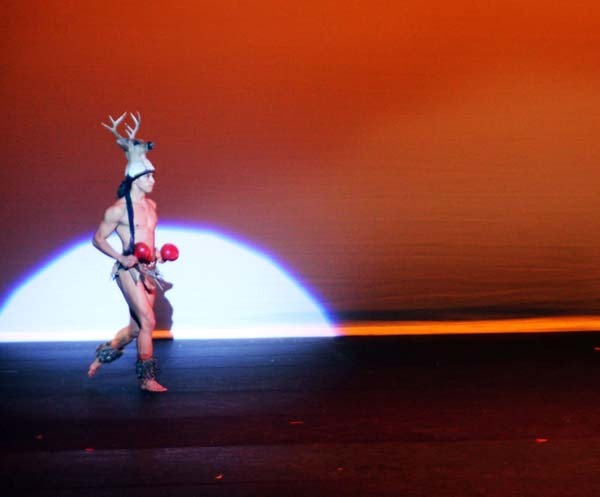 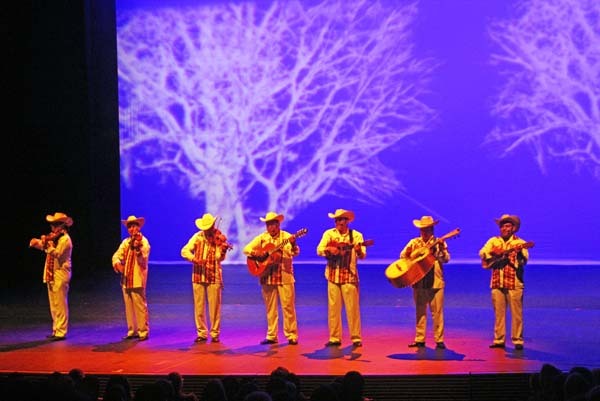 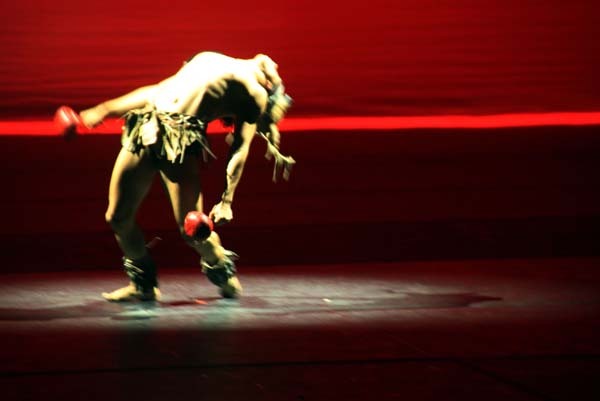 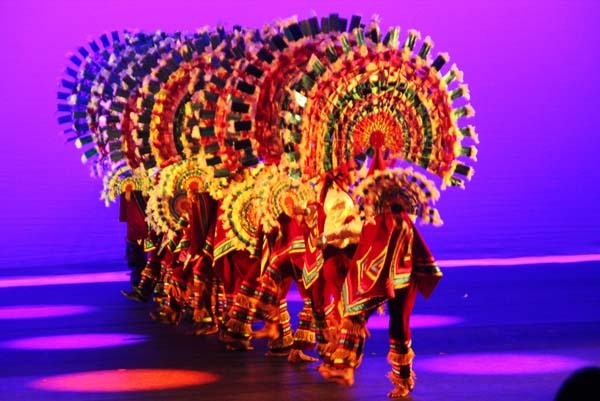 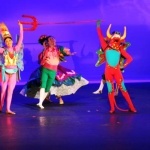 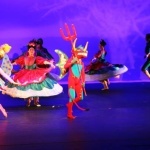 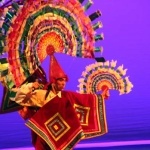 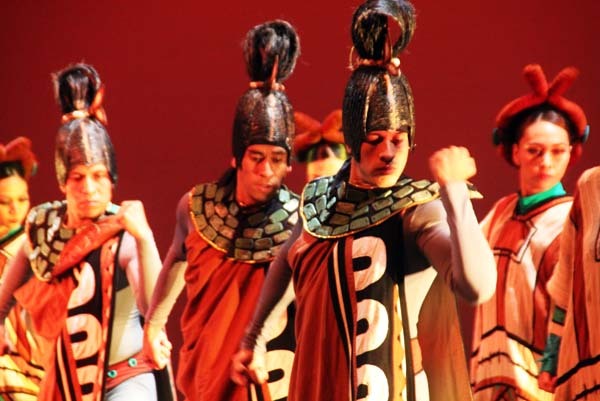 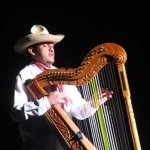 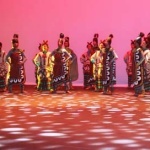 According to the evenings program, “The dance tells of the Yaqui people, who have a reputation of being excellent hunters. 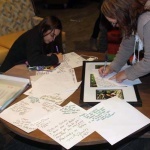 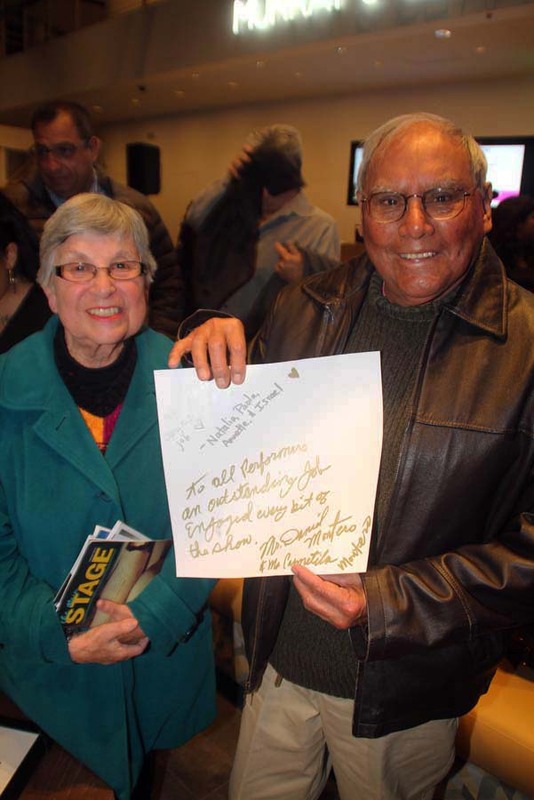 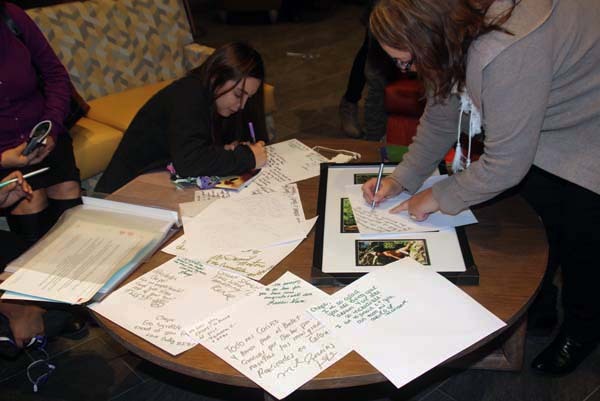 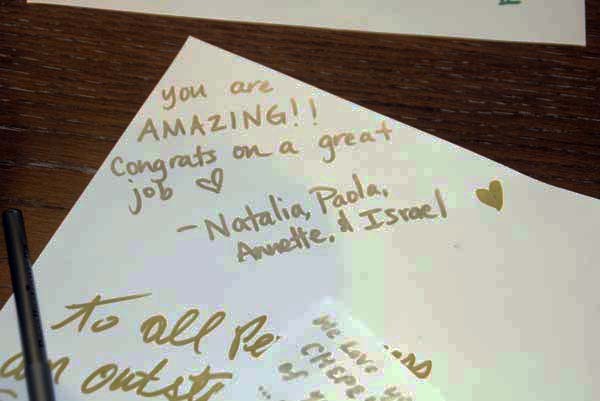 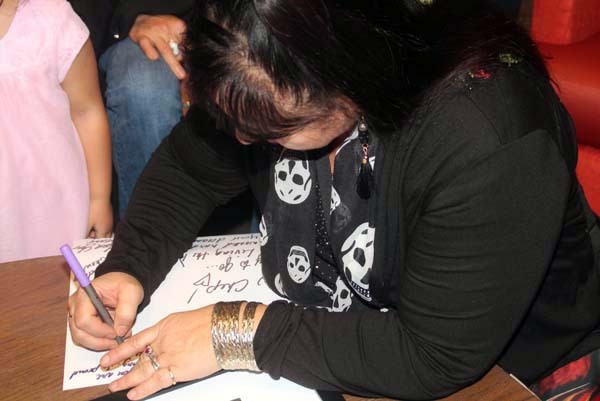 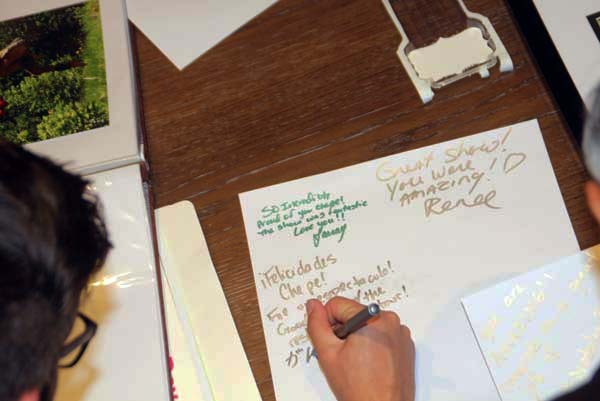 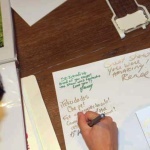 Many stayed long after the performance to sign cards of congratulations. 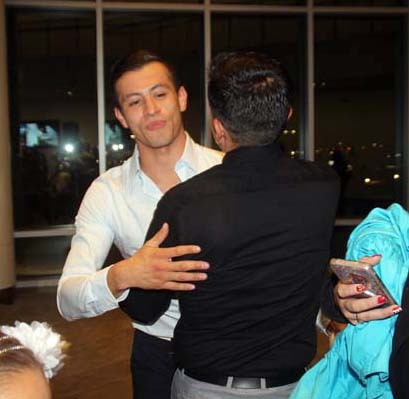 Of course everyone wanted a photo with the dancing sensation that is living his dream. 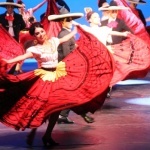 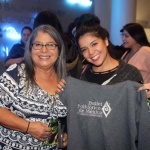 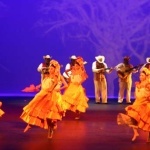 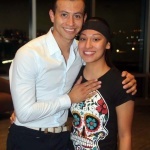 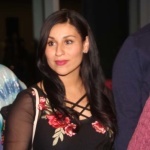 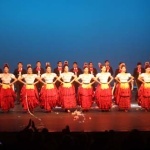 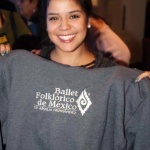 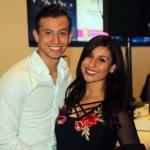 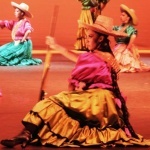 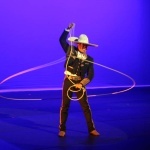 Rosales was in Denver a few months ago to teach a dance class to anyone who aspired to learn or excel in Mexican Dance. 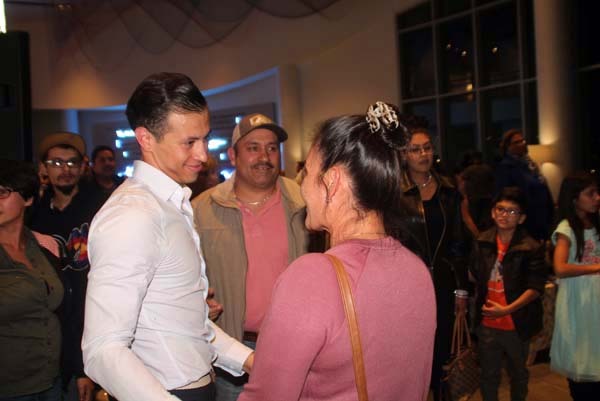 Read our article about that visit “Dreams Really Do Come True. 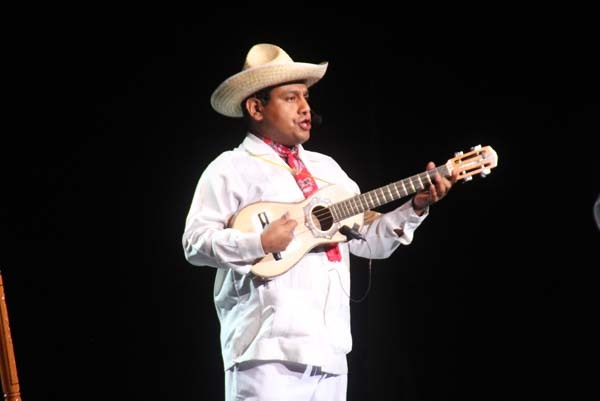 If You Want Them Too, Just Ask ‘Chepe’ HERE.